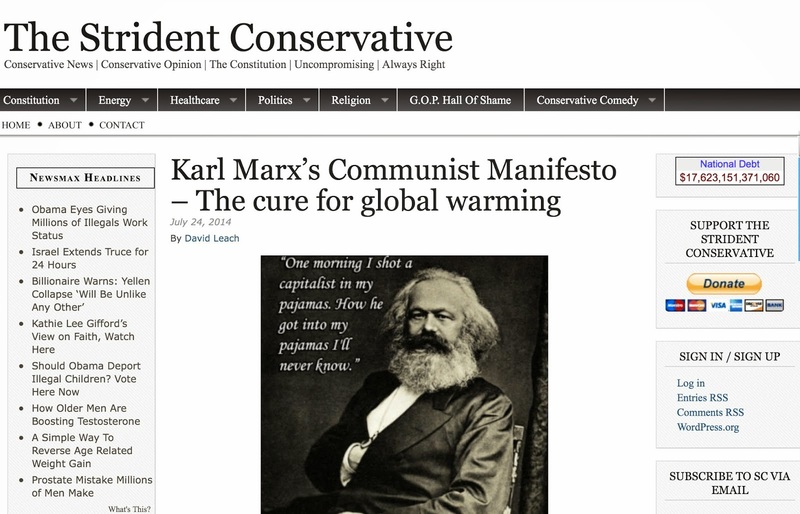 Two months ago, on the Senate floor, the Majority Leader Harry Reid rambled on suggesting that instead of considering “the latest Republican aim to derail the successful implementation of Obamacare,” the Senate should be addressing things like energy efficiency and “facing the reality of climate change.” This was later posted by the left-wing propaganda machine, Think Progress, which is a blog run by Center for American Progress –– the high-powered organization that has a major foothold inside the Obama administration, and is a driving force inside this clean-energy scheme, which of course, includes pushing a "radical climate agenda." Considering that the Affordable Care Act has since turned into a calamity, the Obama administration is now grasping for climate change legacy as his second-term agenda crumbles. 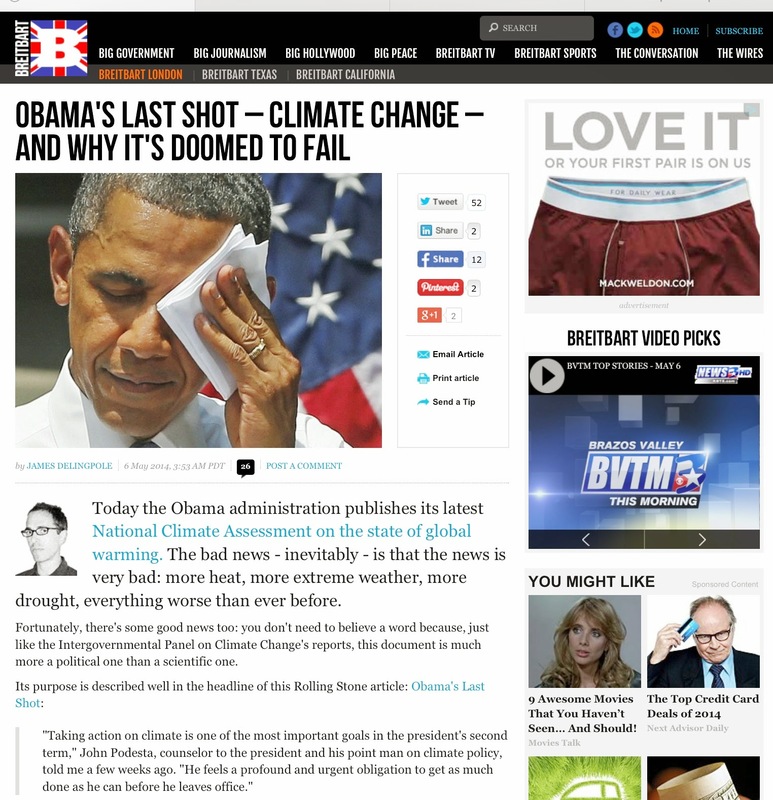 However, behind the scenes, and before recent unfavorable events, it was reported that “he [Obama] sees this [climate change] as a necessary part of his legacy." 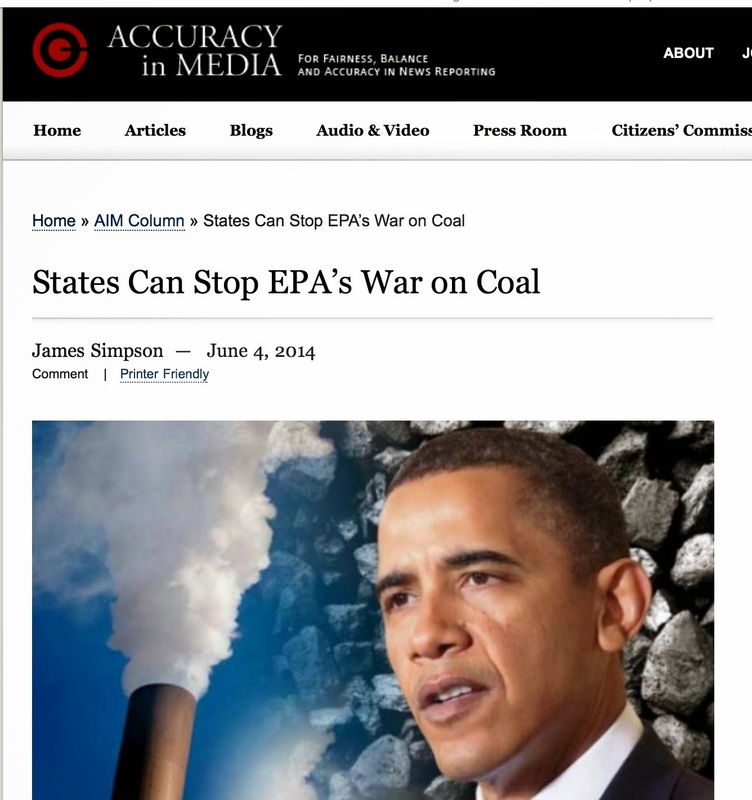 This means that while the president released his "Climate Action Plan" in June 2013, the push to spend billions more of taxpayer money in order to save the planet will continue to spew out of the White House, coupled with various executive actions, extreme measures, and further expansion of our federal government's control over our lives. 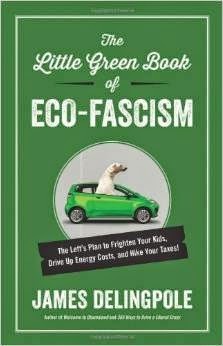 What most Americans don't know is that a March 2012 report by the Brookings Institute, places the Obama administrations' "total government spending (both stimulus and non-stimulus) on green initiatives at $150 billion through 2014." And what did we, the taxpayer, get out of the deal? Billions wasted, increased debt, outsourcing green energy money and green jobs to other countries, as well as massive amounts of corporate welfare, cronyism, and corruption. 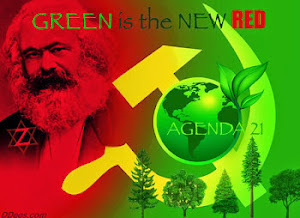 Even so, as the congressional Democrats and their allies resume plotting, the senator from Nevada has more sinister motives: the "green" gave Reid a 2010 platform and facilitated a guaranteed reelection. Who knows what the future holds for Reid if the Obama administration and his "climate minions" continue to have their way. Senator Reid: Repeat Offender on "List of Washington’s Ten Most Wanted Corrupt Politicians"
Harry Reid is another one of those career politicians making their living off the backs of American taxpayers. Reid, who came from humble beginnings, has "risen from the son of a hard-rock miner to a fabulously wealthy Senate Majority Leader" (net worth in 2010 ranged from $3,302,053 to $10,309,999). First elected in 1986, Reid knows how to use the system, inside and out, in order to get elected over and over. Reid is even a "repeat offender" at the Judicial Watch "List of Washington’s Ten Most Wanted Corrupt Politicians." 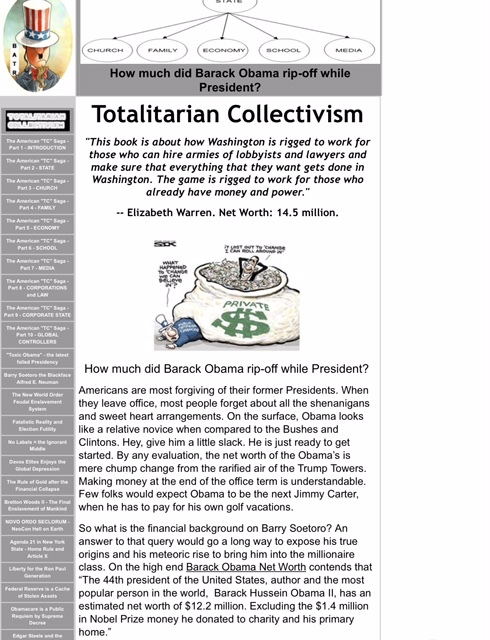 While Judicial Watch, in 2012, gives examples on how the majority leader has used earmarks and influence to enrich himself and his family, they do reference his tie to solar. “Sen. 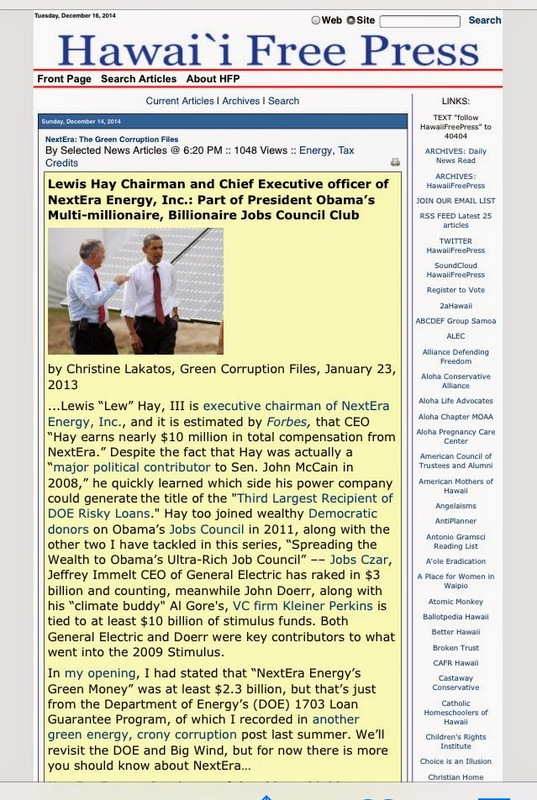 Harry Reid’s latest influence-peddling scandal involves ENN Energy Group,” a Chinese green energy client of Nevada’s largest and most prestigious law firm –– Lionel Sawyer & Collins, of which the Senator’s son, Rory Reid, is a principal. 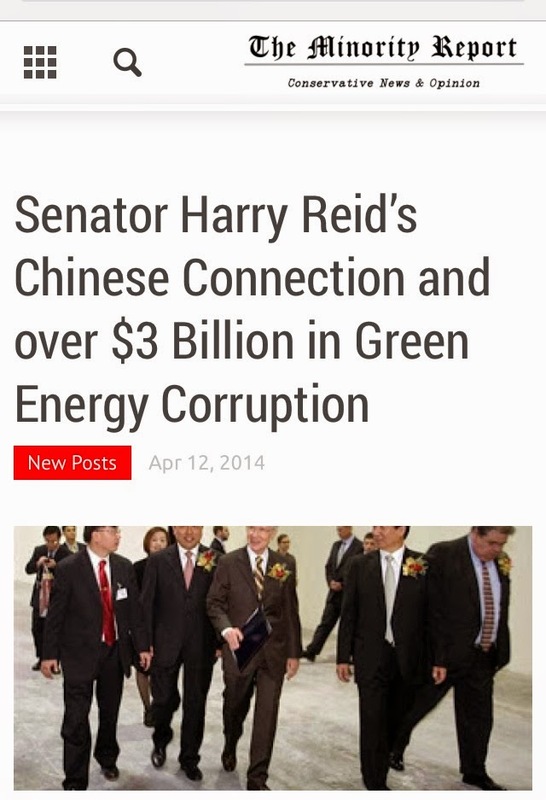 Back in the summer of 2012, news broke on how Harry and his oldest son, Rory, were both involved in “an effort by a Chinese energy giant, ENN Energy Group, to build a $5 billion solar farm and panel manufacturing plant in the southern Nevada desert.” Needless to say, Reid’s connection to green energy goes much deeper than one Chinese firm. In getting underneath the majority leader's clean-energy dirt, one must know that sometime in either late 2008 or early 2009, the senator was first instrumental in getting the "Recovery Act" to appropriate and expand the Energy Department's Loan Guarantee Program, which ultimately added stimulus loans to its repertoire. 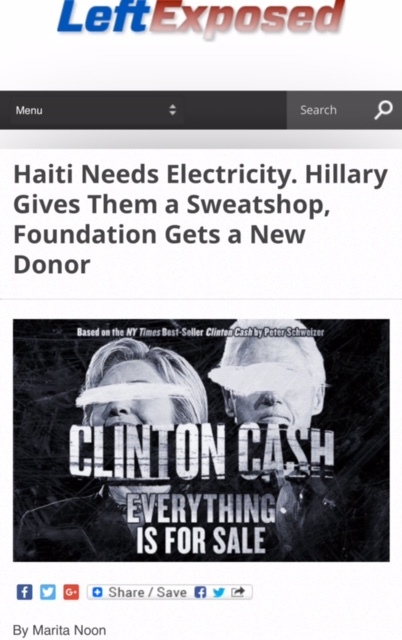 Then prior to, at the same time, or shortly thereafter, Reid received money from the geothermal industry, as well as those seeking stimulus loans. 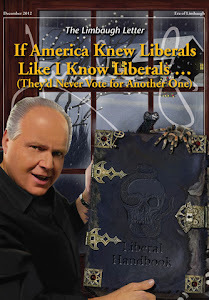 Reid, then, in September 2009, pressured President Obama, the Secretary's of Treasury and Energy as well as the Director of the Office of Management and Budget to fund clean-energy projects "rapidly" –– all under the guise of "investments" and based on the false promise of job creation. What we will be exposing in this Green Corruption File is that instead of creating jobs, there is a case whereas Reid’s advocacy actually “bailed out” his cronies. Meanwhile, the White House and those inside the DOE helped Reid secure clean-energy stimulus loans (and grants) for projects in Nevada that had "his support" –– all the while Reid used these wins as a campaign ploy to ensure a 2010 midterm victory, of which we can confirm that the senator is directly linked to over $3 billion in just the stimulus loans alone –– taxpayer money that created a whopping 224 permanent jobs. 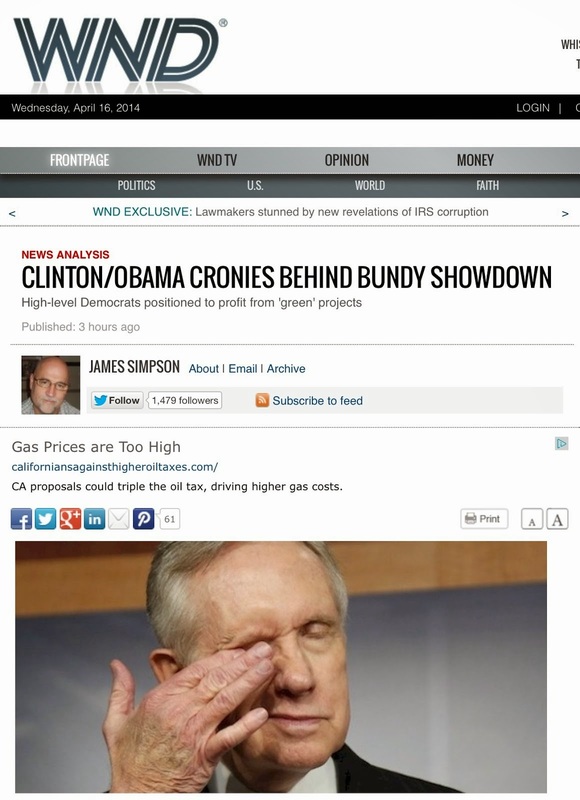 In June 2013, we reported that Senator Harry Reid had a small role (hypocrisy) in our "Nuclear Crimes and Misdemeanors" story, which involves the billion-dollar Colorado-based consulting, engineering and construction firm CH2M Hill, who has been on the government dole for quite some time, and not only had input into the 2009-Recovery Act, but in 2009, was awarded $1.3 billion in stimulus funds. Apparently, it was appropriate to scrutinize the "conflict of interest" when President Bush was in office, but not a peep from Reid under President Obama. CH2M Hill may be just a fluke, but what we can confirm is that Majority Leader Reid is heavily involved in this green energy scheme. Shortly after President Obama began his reign as our 44th president, in February 2009, he signed into law the American Recovery and Reinvestment Act (ARRA). This was a massive economic stimulus bill –– among the biggest in history –– that was sold to the American people as a means save our economy from the brink of disaster and create American jobs. This stimulus package was jammed-packed full of clean-energy provisions, of which about 10 percent ($100 billion) of the monies were earmarked for renewable energy. Seven months after the stimulus was signed into law, on September 23, 2009, Senator Reid, wrote a letter to President Obama, which was cc’ed to Secretary of Treasury Timothy Geithner, Secretary of Energy Steven Chu, and Director of the Office of Management and Budget, Peter Orsag, complaining as to the “slow pace of implementation of the Department of Energy’s loan guarantee programs.” During the course of that correspondence, is also where Senator Reid patted himself on the back for his role (via the stimulus bill) in helping to "appropriate an additional $6 billion for an expanded loan guarantee program." Despite Reid’s acknowledgement of the “risks” involved, he proceeded to request that "obstacles be cleared away," and basically demanded that the Recovery Act monies for the loan program be dispensed "rapidly" –– all the while claiming that these billions in taxpayer funds "will grow tens of thousands of green jobs." 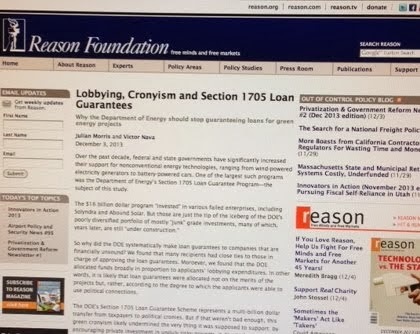 The loan program that Reid is referring to in this letter, which he helped expand under the stimulus law, is the Energy Department's Section 1705 –– a program of which in March of 2012, we discovered from the House Oversight and Government Reform committee that in excess of $16 billion was doled to 26 projects, of which 22 of the loans were rated “Junk" grade due to their poor credit quality. The remaining ended up on lowest end of the investment grade of categories, giving the DOE’s 1705 loan portfolio an overall average of BB-, which explains the term DOE's "junk bond" portfolio frequented throughout my work. 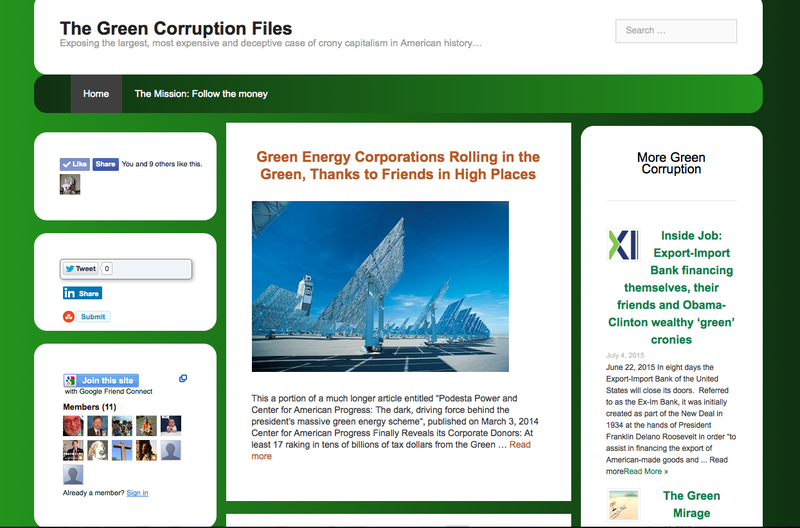 The Green Corruption Files has exposed many times that at least 90 percent of the winners of these DOE stimulus loans (the entire Energy Department loan portfolio) have meaningful politically connections (bundlers, top donors, fundraisers, etc) to the president and other high-ranking Democrats –– in some cases, to both. 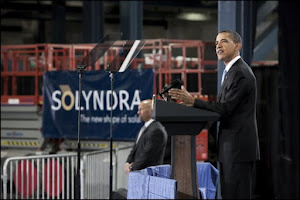 Since 2009, the Energy Department, through three separate programs (Section 1703, Section 1705, which was created by the 2009-Recovery Act, and Advanced Technology Vehicles Manufacturing (ATVM) has guaranteed –– along with pressure and influence from President Obama, Vice-President Biden, and the White House ––– $34.5 billion of taxpayer money that thus far has funded 33 projects. 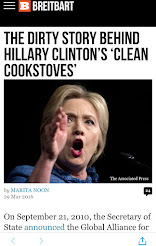 To date, the big alternative energy losers in just this clean-energy program are Solyndra, Beacon Power, Abound Solar, SoloPower, Fisker Automotive, and the Vehicle Production Group –– with quite a few still in the shadows. Later we learned that many of these same projects funded with DOE loans also won free taxpayer cash from one of the biggest stimulus scams: the 1603 Treasury Program, which has to date given out $19,349,675,402 –– another part of this scandal that we have been tracking. "Reid's platform was power," wrote the Huffington Post back then: "the 71-year-old one-time boxer touted his ability to bring federal money to his home state –– no one could do more, he argued..."
In fact, Reid's 2010 campaign included taking credit for his part in the Recovery Act, bragging about his role in the SWIP-S project, and promoting himself as a major green jobs creator, which included this slogan: “FIGHTING FOR CLEAN ENERGY JOBS IN NEVADA.” Ironically, part of Senator Reid's clean-energy legacy is his September 2010 appearance at the Clean Energy Summit in Las Vegas when he showed up in a fleet of SUV’s –– so that he and a few aides would not have to walk the mere 100 yards to address environmental activists. Senator Reid brought home the federal dollars all right, and the White House and those inside the Department of Energy (DOE) made sure of that. Stimulus money that was supposed to save our economy from the brink of disaster and create American jobs –– not save an election. While there are three additional Nevada projects funded with stimulus money, we'll stay focused on the five stimulus loans, listed in the chart below. FIVE "speculative" loans: over $3 billion that produced (or expected to create) 2532 temporary construction jobs and 224 permanent jobs. THREE were announced and/or finalized in time for 2010 midterms: SWIP-S, Nevada Geothermal, and BrightSource Energy – with Ormat Nevada featured in a 2010 Midterm Ad "approved by" Senator Reid. 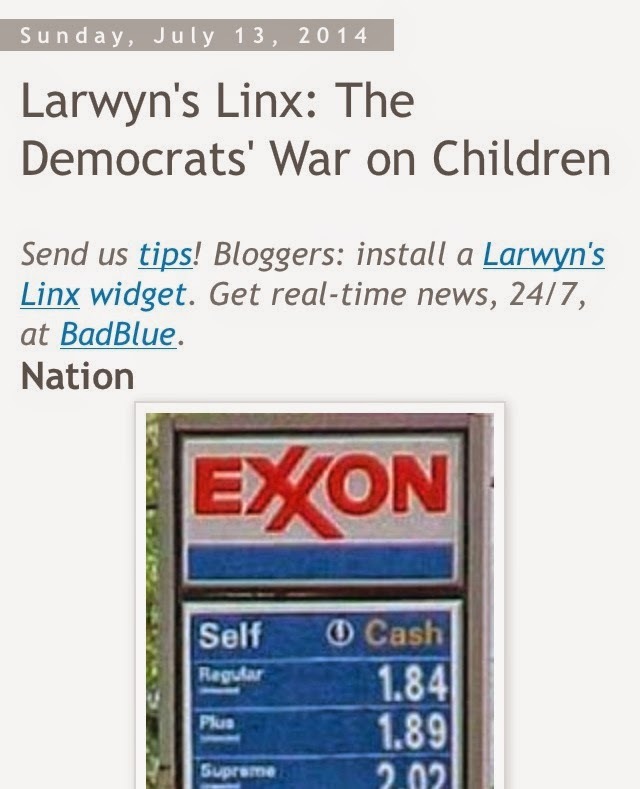 Now with the overview presented, let me share some of the "behind the scenes" and "in front of the camera" details, starting with a project known as SWIP-E (winner of $343 million; 2/2011), which was used as 2010 midterm ploy, and photo opportunity. In fact, the SWIP-E project is where Senator Reid even touts his role in the loan program with this February 2011 press release headline: "ON Line Transmission Project Was Possible Thanks to Recovery Act Loan Guarantee Secured by Senator Reid." Last but not least, there is BrightSource Energy, the winner of $1.6 billion in April 2011 for a huge solar project near the California-Nevada border. BrightSource Energy's then-CEO, John Woolard, and the then-chairman of PG&E Corporation, Peter Darbee hosted a breakfast fundraiser in August 2010 for Senator Reid in the Oakland offices of BrightSource Energy. Adding to the Obama administration’s larger green energy initiative (and cronyism), "on March 11, 2009, the Department of Interior (DOI) issued a secretarial order to fast track the sitting of renewable energy projects on public lands managed by the agency." This included a "fast-tracked approval of several major projects in California and Nevada, which "raised questions over negative environmental impacts and the agency’s adherence to environmental regulations," reported The Beacon in 2012. What's most disturbing is that these decisions were made with “little scrutiny over environmental damages,” and according to the Los Angeles Times, it caused strife amongst environmentalists and some “eco-drama,” including news that “Gang Green,” the nation’s big environmental players, “were silent on the projects or actively lobbied for them.” We can confirm that seven projects that also won DOE stimulus loans (some grants), also “received fast-tracked approval by the DOI to lease federal lands in a no-bid process: Abengoa Solar, BrightSource Energy, First Solar, Nevada Geothermal Power, NextEra Energy Resources, Ormat Nevada, and SolarReserve." While the environmentalists were mostly silent on this issue, The Beacon was alarmed by the "speed with which the projects were approved, coupled with the fact that the companies had already received Energy Department loan guarantees with strict time lines attached," concluding a suspicion "as to whether Interior’s actions were predetermined." Later we learned that at least two of these projects were having environmental problems. BrightSource's Ivanpah solar power project in the Mojave Desert was killing turtles –– an issue that they spent $56 million to resolve, however, not without causing more harm to animals and other calamities to the tortoises that were made vulnerable by the project. And now this project is "executing birds" (more details forthcoming in the BrightSource section) –– a federal crime when perpetrated by an oil company. The second one is NextEra's Genesis solar energy project that was killing the sensitive desert kit fox population and "possibly desecrating an ancient Native American burial site." We first tackled this part of the Green Corruption scandal in the summer of 2012, in our "Special Seven” series, which as you can see includes four of Reid's DOE deals. But worse is that Reid not only colluded with the Secretary of the Interior Ken Salazar in a June 29, 2009 special announcement regarding the "Fast Track" initiatives for solar energy development on western lands, but he also takes credit for this "fast-track permitting" itself in his "Playing to win in CLEAN ENERGY" report released in March of 2012. Reid also documents his clean-energy initiatives as far back as 2001, along with more "green" government favors that went to Nevada, which will be detailed later. Needless to say, the senator must have forgotten to share the fact that "Reid’s staffers have been a key part of Washington D.C.’s revolving door, setting up shop with lobbying outfits that have ties to green energy companies and the Department of Interior, which oversees such projects," noted The Beacon in 2012. 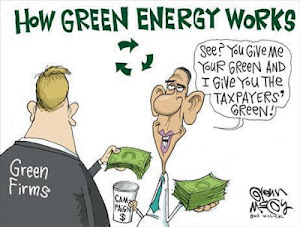 “And these are decisions, by the way, that are made by the Department of Energy, they have nothing to do with politics,” President Obama responded to a reporter in October of 2012, when asked about the green companies that have gone bankrupt despite receiving taxpayer support. That statement was absolutely false. 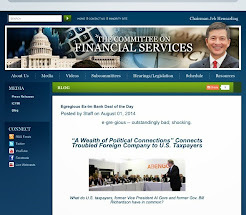 The House Oversight and Government Reform Committee released internal DOE emails on October 31, 2012 that compromised "Obama’s position on two counts: one, the emails show that Obama himself was involved in approving loans; two, DOE officials were keenly aware of the political interests at stake, as they regarded the loans as a way for the White House to help Reid by giving him a way to brag about bringing federal money into Nevada," reported the Washington Times. The circumstantial evidence alone is enough to indict Senator Reid for cronyism and corruption, but it was the 2012 Halloween email dump that proved how the Obama administration used DOE loan money to help Harry Reid’s 2010 campaign. 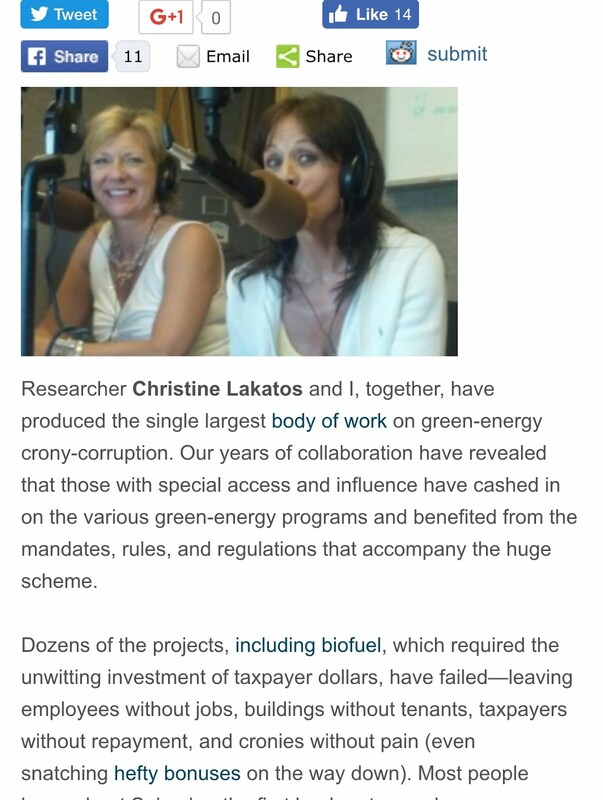 As this revelation hit the airwaves, Marita Noon, energy columnist at Townhall.com, and I immediately hammered away by busting open the DOE's den of deception, exposing its coercion, corruption, cronyism, and cover-ups. 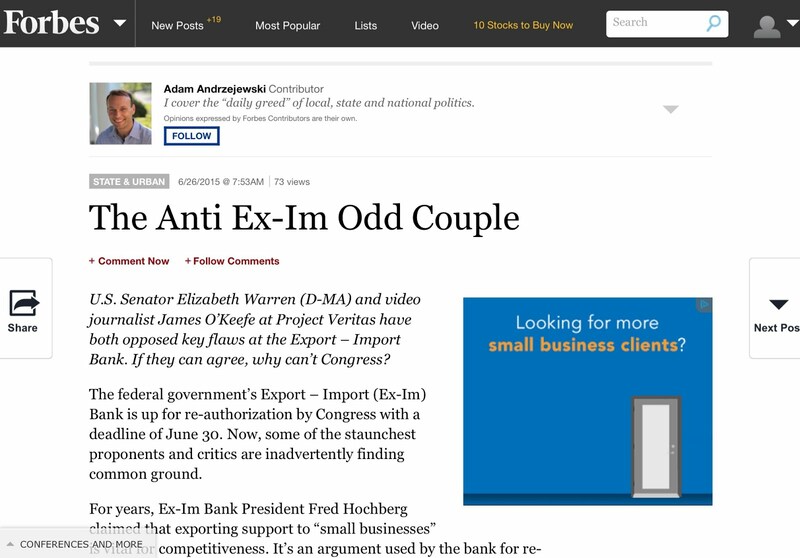 Today we'll stay focused on the Senator Reid's role, which began as early as December 2009, yet we'll begin with the Washington Examiner released back then, which involves James C. McCrea, Senior Credit Advisor of the Loan Programs and the DOE Loan Director Jonathan Silver. 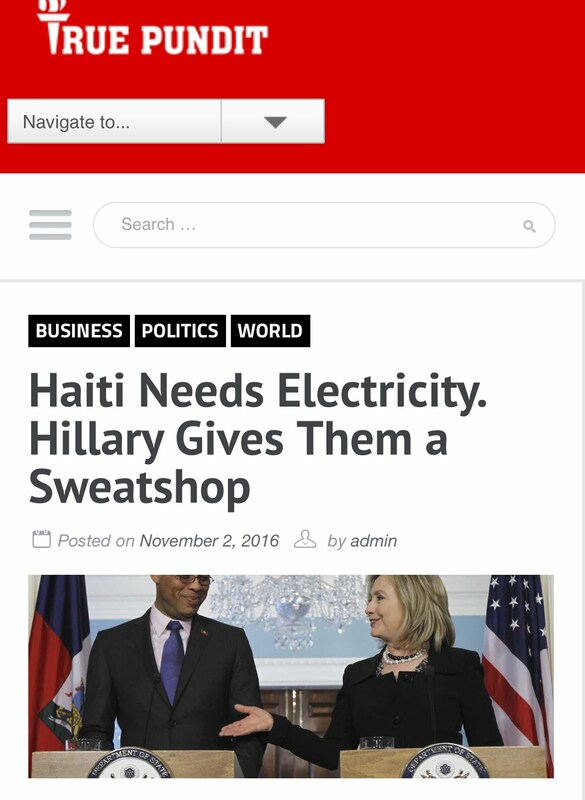 NOTE: Silver is reported to be an Obama bundler, and had been a managing partner at Core Capital Partners [and co-founder] in Washington. 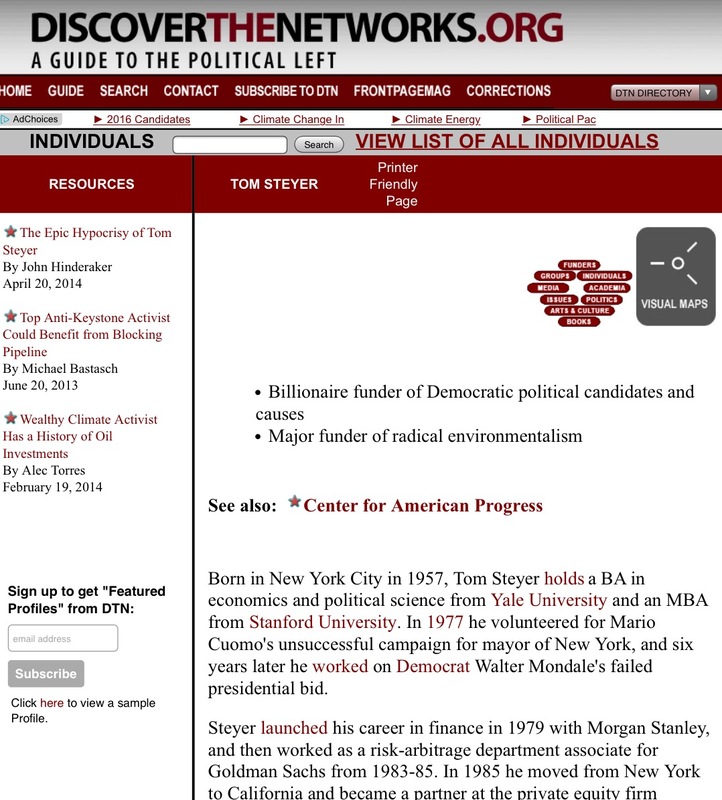 It turns out that one of Silver's colleagues there was Tom Wheeler, another 2008 Obama bundler as well as part of the Obama-Biden Transition Team. Silver formerly served in the Clinton administration, and it has been reported that "he is a strict partisan when it comes to his own campaign contributions, the recipients have all been Democrats.” Silver was appointed as the Executive Director of the Loan Programs Office in November 2009, of which he was “responsible for the agency’s strategic direction and oversees all of its transactions.” Silver is a key figure inside these DOE loans, up until Silver resigned in early October 2011, amidst the "Solyndra $535 Million Saga." Those set of pesky and incriminating 2012 DOE email dump, more specially inside the 350+ page Appendix II, reveal that many of the DOE loans were rushed and approved for political purposes –– visits, speeches, announcements, photo ops, and talking points for the president as well as for the purpose of helping those connected to the companies seeking the loans –– CEO's, investors, and Democrat politicians, which goes beyond subsidizing Nevada companies in order to help Senate Majority Leader Harry Reid win his 2010 reelection. 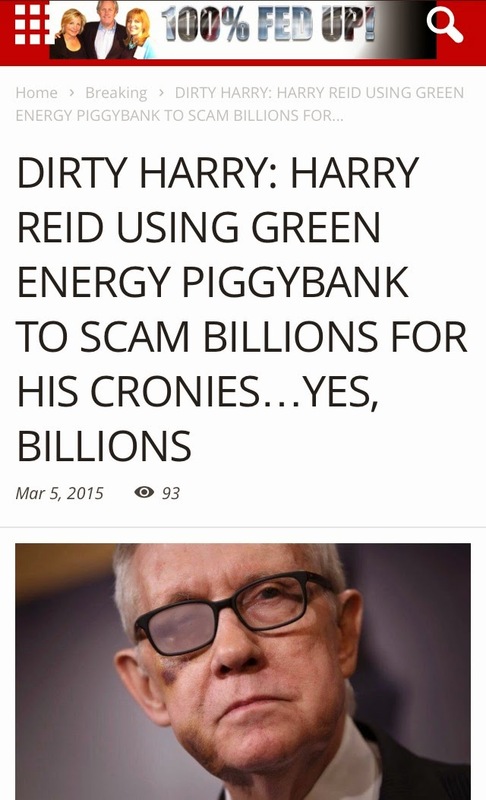 Yet, Reid's part in this Green Corruption scandal is unprecedented –– as reflected not only in his role in the 2009-Recovery Act, but also in the amount of clean-energy federal dollars that he brought home to his state of Nevada. As mentioned, Reid is tied to five green energy risky projects (four in Nevada and one in California). 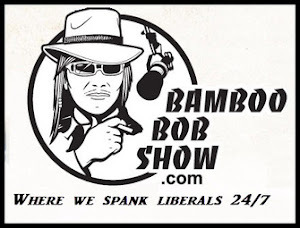 However, besides finding favor with the Interior Department, many of these same projects, as well as three others that we found, won cash free money from the stimulus package as well –– thus placing Reid's clean-energy stimulus tab over $3.4 billion and counting. 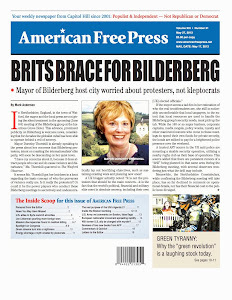 Announced October 2010, which included a special visit a photo op for Senator Reid. 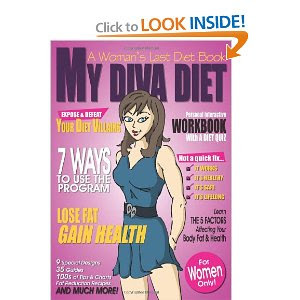 Finalized in February 2011, which involved bragging rights by Senator Reid. On April 14, 2010, Steve Shulman sent James McCrea (at that time the Loan Program Office Credit Advisor), an EMAIL asking if he had assigned anyone from his group to work on the Great Basin (LS Power) transmission project. McCrea responds to Steve and cc’s Sandy Claghorn (at that time she was a Credit Consultant at the DOE, and ironically her background is from the credit-rating agency Fitch that gave the SWIP-S project a Rating BB+), “I presume you mean SWIP? If so, Sandy Claghorn will be lead….” McCrea, in his email response, addresses Sandy directly, “Sandy – This is a very high profile transaction that has, within the past 2 weeks, become the subject of a ton of high level focus. It is a priority for Jonathon..."
The "Jonathan" referred to here is Mr. Silver, who was head of the loan program from November 2009 to October 2011, of which we highlighted his role and background a bit earlier in this post, and throughout most these Green Corruption Files. "We (and OMB) have huge political pressure to get this deal done..."
In the middle of the entire ruckus regarding SWIP that occurred since April 2010 (that we know of), this project, five days after this email, on October 19, 2010, received a conditional commitment for a stimulus loan worth $350 million. It also got a special celebration, which included a special visit and PHOTO OP from key (now formal) energy officials: Jonathan Silver, Executive Director of the Department of Energy’s Loan Programs Office, and Secretary of the Interior Ken Salazar as well as Senator Harry Reid. Later in November 2010, during the course of several inter agency emails with the subject line, "SWIP - Fast Track," we can confirm that "SWIP" was on the fast-track process, which from what I gather, was "only intended to help get the conditional commitment, not closing." Later in February 2011, despite the fact that a month earlier, Fitch had rated the Nevada transmission line project as "non-investment grade," it was finalized. The SWIP-S project was set "to develop the first phase of a line that will carry approximately 2,000 MW of electricity" –– and it was projected to produce 400 construction jobs. When operational, it will provide 15 permanent jobs. Reid gets a transmission line for Nevada — an election-year trophy, no doubt, perhaps with a photo op of hundreds of workers building the power line, and the start of the state’s the green energy future, just in time for Election Day. 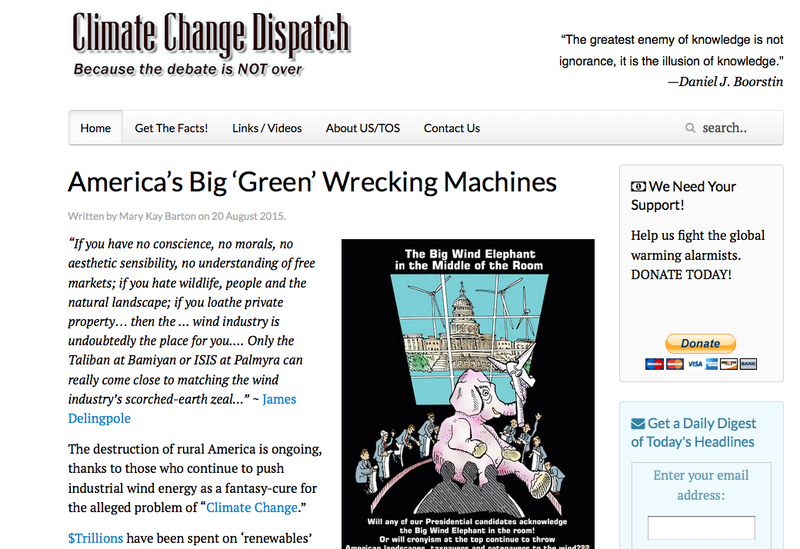 NOTE: In February 2013, we unleashed Citigroup’s massive “green” money machine, and how their renewable energy transactions tie them to approximately $16 billion of “green” taxpayer money, which includes representing SolarReserve (we'll get to in a bit) as well as LS Power for at least two projects; one in California and Arizona. But LS Power has a lot of projects, and there is one in particular that stands out due to the fact that it was the recipient of one of those stimulus “junk” rated DOE loans. LS Power and its project labeled "One Nevada Transmission Line" a Nevada project called ON Line, which was formerly known as SWIP-S, and where Great Basin Transmission, LLC, an affiliate of LS Power, is developing the Southwest Intertie Project (“SWIP”). Both the Nevada Geothermal and Ormat Nevada parts can be found in our July 15, 2012 post entitled "Senator Harry Reid’s Part in Green-Energy Crony-Corruption," which at that time was Part Three of our "Special Seven Series"
Nevada Geothermal Power (NGP), now Alternative Earth Resources Inc, "holds leasehold interests in four geothermal projects located in the Western United States." Two months before NGP's Blue Mountain project received a conditional approval for an Energy Department loan guarantee (in April 2010), Reid toured the plant, promoting it as a jobs creator: “This project is exactly the type of initiative we need to ensure Nevada creates good-paying jobs,” Mr. Reid said. In a June 2010 press release, when the $98.5 million loan was moving at full speed, Reid stated, "I am glad to see economic recovery funding being used to put Nevadans to work on a project that will help us achieve energy independence.” Reid at that time also declared, “Northern Nevada is the Saudi Arabia of geothermal energy..."
The campaign contributions –– both from the geothermal industry as well as "executives from" NGP –– not to mention Reid's part in the ensuring that stimulus package expanded the Energy Department's loan program (1705), and the fact that Reid was campaigning for their project early on, could be why, despite the low credit rating of the Blue Mountain geothermal project in Humboldt County, the $98.5 million stimulus loan was finalized. Instead of creating jobs, in this particular case, Reid’s advocacy actually “bailed out” his cronies and added another notch to his 2010 midterm bragging rights on clean-energy and green jobs –– all the while sticking it to the taxpayer. And they didn't stop at $98.5 million. On July 6, 2011, NGP Blue Mountain I LLC won a $65,741,725 stimulus grant from the 1603 Grant Program. During the May 16, 2012 testimony before the House Oversight Committee, the CEO Brian D. Fairbank spoke “about the many good things occurring at Blue Mountain” and stated that they “remained bullish on the future of geothermal resource potential” at Blue Mountain. However, in 2012, the future of Nevada Geothermal was looking dim, as it was still facing financial problems, and "the company’s internal auditors had questioned whether it could stay in business" –– insight that came from NGP auditors via a financial statement for the period ending March 31  and reported by the Washington Times. With such a terrible 2011 audit and another grim financial statement completed in March 2012, one as to wonder how much did Fairbanks actually know about the status of NGP during that May 16 testimony when he defended their taxpayer subsidized geothermal project. Needles to say, Nevada Geothermal Power (NGP), in July of 2012, were still facing financial issues, and it was reported that NGP was on its way toward bankruptcy. However, as of May 2013, financial news reported that Blue Mountain had owed almost $200 million to its private lenders, and that NGP "has completed the sale of the Blue Mountain Geothermal Project to funds managed by EIG Global Energy Partners, LLC, the mezzanine lender for the project, pursuant to an equity and collateral transfer agreement." It's not quite clear what went down behind the Blue Mountain, but as of April 3, 2013 NGP changed its name to Alternative Earth Resources Inc. Still, as of November 2013, the DOE states that the Blue Mountain project is operational, and it also claims 200 construction and 14 permanent jobs. Wow, over $164 million for 14 jobs –– 214, if we count the temporary. 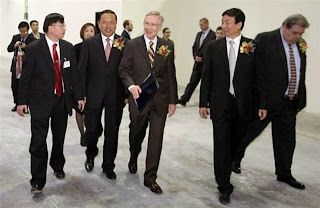 Announced on June 9, 2011, which included Secretary Chu and Senator Reid. It was finalized in September 2011, of which Senator Reid made a special announcement as well, however, folks from Ormat were used in a 2010 midterm campaign ad. Ormat Technologies’ projects have received over than $250 million in various DOE and Treasury grants, of which the majority came from the stimulus-created 1603 Grant Program. Keep in mind that "executives from" Ormat had donated to Reid and his fellow Democrats, since 2008, and as mentioned during the course of covering the Nevada Geothermal deal, Mr. Reid has received support from the industry, in the form of at least $43,000 worth of campaign contributions from the geothermal industry since 2009. 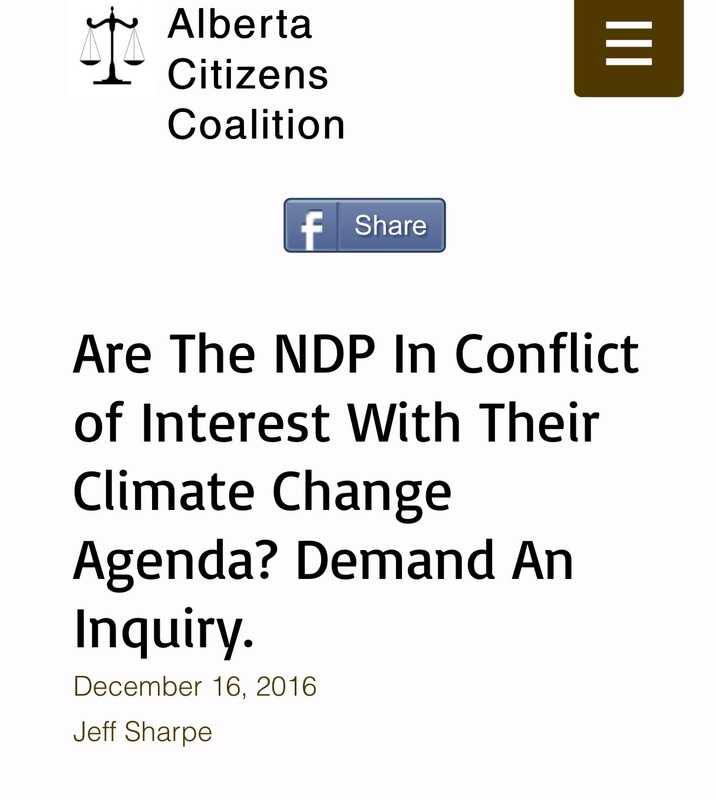 Still, there's much more to the Ormat/Reid clean-energy story to share. With all the "green energy campaigning" that Reid engaged in for the 2010 midterms, he failed to put into a press release that "meaningful ties exist between the senator and Ormat." Two of Ormat’s federal lobbyists previously worked for Senator Reid," and they both donated to his campaign –– all well documented in the in the House Oversight report that came on March 20, 2012. While Ormat’s outside lobbyist, Kai Anderson of Cassidy and Associates, served as Senator Reid’s Deputy Chief of Staff up until 2005, Ormat’s company lobbyist, Director of Policy and Business Development from September 2005 until September 2013, was Paul Thomsen. Mr. Thomsen is another former aide to the Senator (2002 – 2005), where he handled public lands and energy issues. 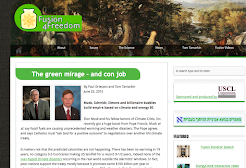 Mr. Thomsen, amongst other roles, also sat on Senator Harry Reid’s Blue Ribbon Council on Renewable Energy. He's now at the Governor's Office of Energy in Nevada. We find that "in addition to Anderson and Thomsen, Ormat’s President, Yoram Bronicki, gave thousands in political contributions to Senator Reid. The strong ties between the company and the Senate Majority leader raise questions about whether the DOE acted in the best interests of the American people when it approved the loan guarantee." Yoram Bronicki is the son of Mrs. Yehudit (Dita) Bronicki, the CEO and Director of Ormat Technologies, who recently announced that she, "plans on retiring in 2014." Ormat Nevada is a wholly-owned subsidiary of Ormat Technologies, Inc., on June 9, 2011, received a conditional commitment for a partial guarantee for a $350 million loan from the Energy Department, which was presented by they dynamic duo once again, Chu and Reid. Despite the projects low credit rating ("speculative"), in September 2011, the Department of Energy finalized the $350 million DOE stimulus loan to support Ormat Nevada, Inc.’s OFC 2, of which the three projects involved are aided by this DOE loan as well production tax credits. According to the Senator's 2012 report, "Ormat is also taking advantage of the Treasury Department’s (Section 1603) grant in lieu of tax credit program. 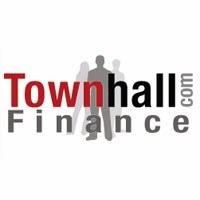 In September 2010, Ormat received $108.2 million for specified energy property in lieu of tax credits relating to its North Brawley geothermal power plant in California." However, during the June 19, 2012 House Oversight hearing, via written testimony by the CEO of Ormat, Dita Bronicki, we found that Ormat Technologies’ projects have received more than $200 million in various DOE and Treasury grants, of which the majority came from the stimulus-created 1603 Grant Program. A few months after the Jun 19th hearing (September 15, 2012), Ormat again won more free cash (close to $47 million), which went toward one of its three projects in Nevada. So, this geothermal project in Nevada is not only funded by taxpayers with $350 million stimulus loan, but three stimulus grants all doled out in 2012 (ORNI 15 LLC, ORNI 39 LLC and ORNI 42 LLC), totaling over $105 million –– meaning that Reid's Ormat deal, thus far has been subsidized with $455 million. Meanwhile in July of 2013, ORNI 18 LLC, Geothermal Electricity in California snagged another 1603 grant for $122,970,821. Still, Reid, at the time the loan was approved, in a press release took credit and said, “Now that this loan guarantee is finalized, hundreds of Nevadans will soon be working again,” while noting that this project will generate nearly 400 jobs. Yet, as of November 8, 2013, the DOE states that this geothermal project is currently operational, it has only produced 64 permanent jobs –– again another example on how the ratio of jobs created (even saved) versus the amount of taxpayer money spent on these "stimulus" green energy projects is laughable...at best. Just these two Nevada geothermal projects (Blue Mountain and Ormat's "OFC2") funded with stimulus loans and grants, cost taxpayers over $600 million –– stimulus money that was supposed to save our economy from the brink of disaster and create American jobs. Adding to the insult is that this administration and their "climate minions" continue to sell "green energy" as means to "end America's addiction to oil." 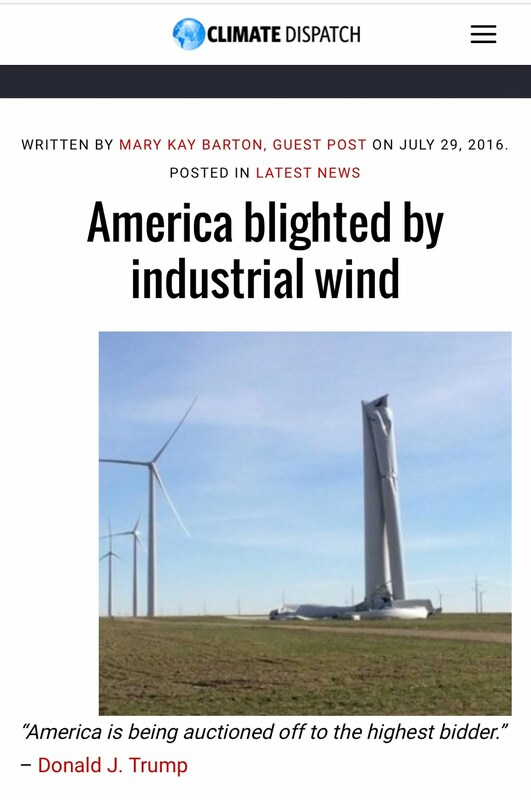 Yet, these two projects only created 78 permanent jobs and 522 temporary construction jobs, bringing no relief to our economic woes or any closer to "energy independence.” Geothermal –– wind and solar — power generates electricity. America is already electricity independent. According to Senator Reid, "the Crescent Dunes project also allowed it to qualify for Treasury Department’s (Section 1603) grant in lieu of tax credit program," yet I was unable to find an amount or date. Jobs: According to the Energy Department, "The project created 600 construction jobs. When the project is completed, it will also provide 45 jobs for plant-operations." 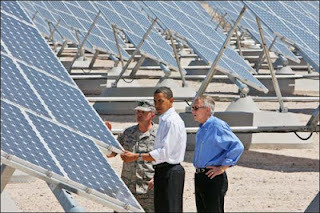 We started chronicling the SolarReserve story in June 30, 2012 with "Obama’s Green-Energy, Crony-Corruption" Special7 series, however since that time, we've uncovered much more. 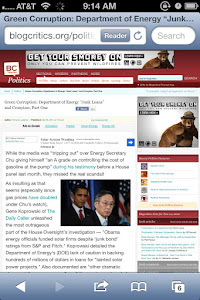 With the Department of Interior December 2010 approval intact, which included "strong support from Washington, DC," and "Senator Reid’s relentless assistance on the project," on May 19, 2011, the dynamic duo, Reid and Chu joined forces once again to announce the Department of Energy’s conditional commitment for a loan guarantee to SolarReserve for a Nevada solar project. 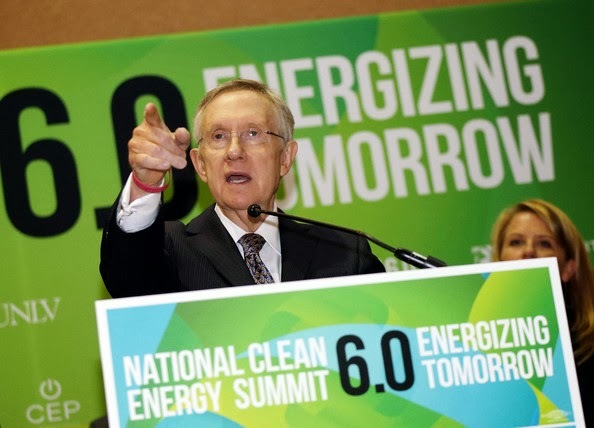 In Reid's presser, again, both Chu and Reid claimed victory on the green jobs front: “Today’s announcement is about one thing: creating good paying clean-energy jobs right here in Nevada,” said Senator Reid. SolarReserve, LLC is headquartered in Santa Monica, California, while the Crescent Dunes project, which is a solar thermal power tower plant utilizing the advanced molten salt power tower technology with integrated storage, is located in Tonopah, Nevada. Despite the projects low credit rating in August 2011, a month later (September 28, 2011), the $737 million in DOE loan guarantee was finalized. Needles to say, just three months prior to the SolarReserve May 2011 DOE loan roll out (six months to its finalization), there is an intriguing set of March 23, 2011 EMAILS (with the subject line, "Re: Tonopah credit issues") that went on all day long between James McCrea, the credit advisor for the DOE's Loan Guarantee Program, Alok Mathur (Credit Team Consultant for DOE's Loan Guarantee Program and also part of the Greenwich Energy & Company "team"), and Monique Fridell (Supervisory Senior Investment Officer at the DOE's Loan Guarantee Program from 2009 until 2012), as well as executives from Scully Capital in the loop. "Actually, at a time like this, it is imperative that I send the note to the senior Federal team with my recommendation. My recommendation is to kill the transaction." "Jim, Just to let you know, while we were discussing the EPC Contract issues with Solar Reserve, when we reached an impasse, their CFO Michael Whalen, threatened to go scorch earth on the DOE in the press about our uncommercial and unrealistic positions. Best regards, John." Mathur continues to complain on how Michael Whalen (who served as the Chief Financial Officer of SolarReserve from September 2008 until sometime in 2013), mistreats the DOE, then he writes, "He has taken this attitude because nobody (to-date) has told him where to get off and he is convinced that with Harry Reid's backing, he can get Jonathan to agree to anything...."
Let me get this straight. First off, we have Senator Reid's "relentless assistance on the [Tonopah] project," which was documented as early as December 2010. In the mix, Reid captures the gratitude of the CEO of SolarReserve, Kevin Smith and by March 2011, the CFO, Michael Whalen, is all wound up because he has "the backing" of the senator. 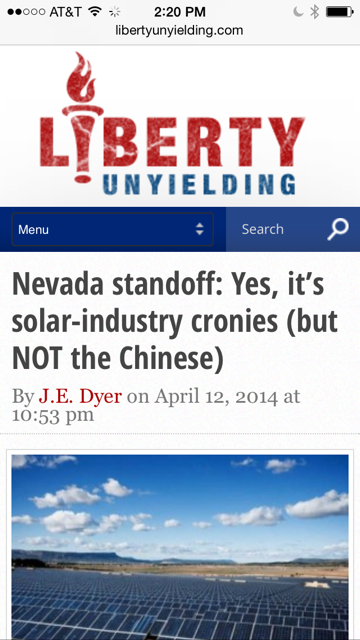 Add in the fact that, SolarReserve, a predominately Democrat donor, executives had given to Reid's campaign since 2008. Still, we have their founding partner, holding a significant financial stake in SolarReserve, which is US Renewables Group (USRG) –– "a $575 million private equity firm exclusively focused on renewable power and clean fuel projects." USRG opens up the door to two SolarReserve board members that since 2008 have donated heavily to Democrats, including Reid, President Obama and other high-ranking Democrats. They include SolarReserve’s Chairman of the Board Lee Bailey, who is also the founder and Managing Director of USRG, as well as James McDermott, a board member at SolarReserve, who is also a Managing Director with USRG. 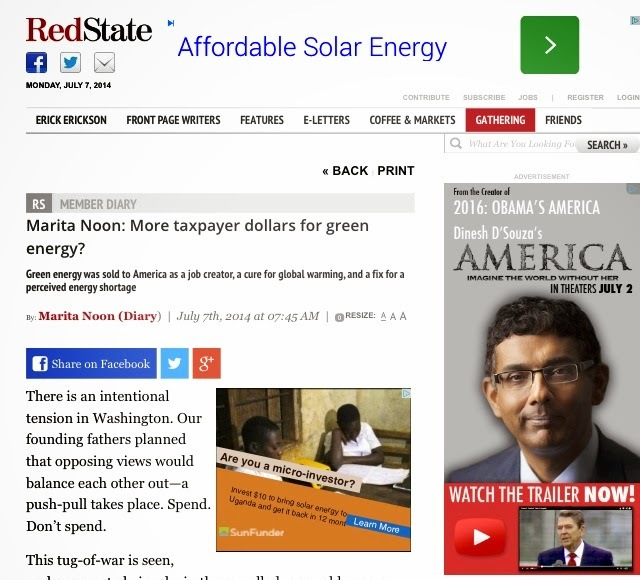 Apparently, Senator Reid is tied to another big green energy cronyism story that involves U.S. Renewable Energy Group (US-REG), which at first glance, seems to be the same firm here that has a stake in SolarReserve: US Renewables Group (USRG). However, in my opinion, they are two different companies. US-REG is "a Dallas investment firm with strong ties to Washington and the Democratic Party," with the public face of Cappy McGarr, "a wealthy Texas philanthropist, investor and longtime fixture in Democratic politics," documented NBC News. Meanwhile, USRG, having offices in Los Angeles and New York, doesn't seem connected here. I could be wrong. 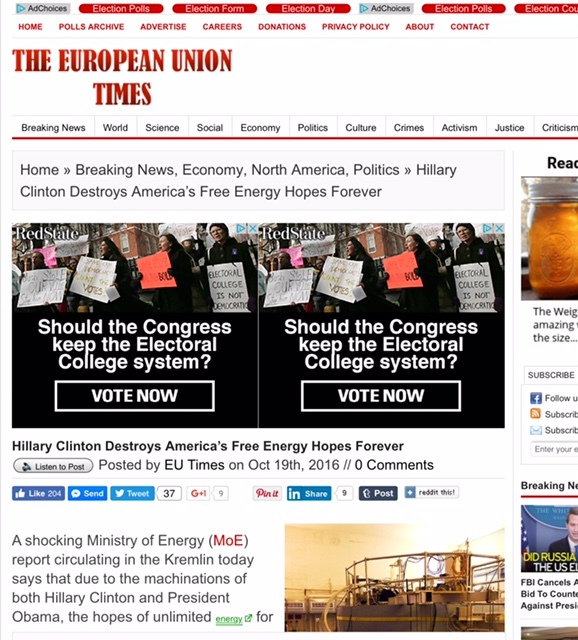 Nevertheless, Reid is in this middle of this US-REG deal, which is about a proposed wind farm in Texas (Spinning Star), driving green jobs to China, top Democratic fundraisers and lobbyists, big unions, major ties to the White House, more donations to the senator from Nevada, and $450 million in stimulus money. 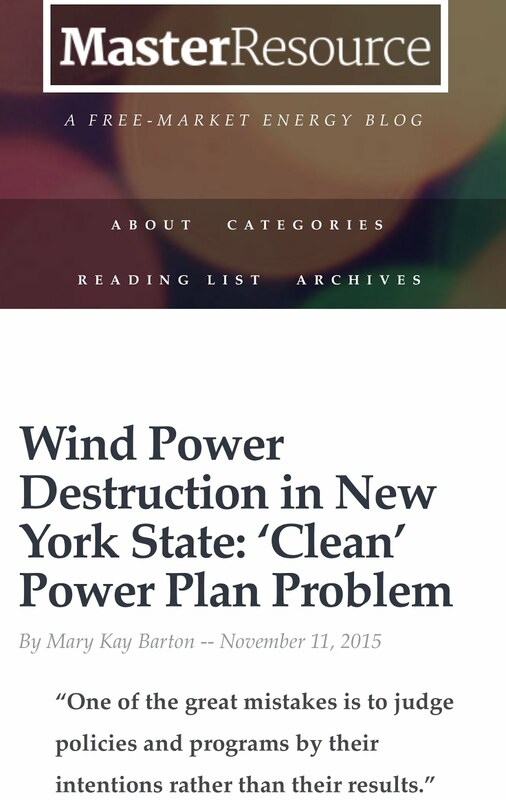 Typical of all these clean-energy projects under Team Obama. In addition to the above players, we have Citigroup, who in September 2008 became an investor in SolarReserve along with Good Energies Capital, now Bregal Energy, who is also currently an investment partner. This brings us to David Sandalow, a DOE insider, who from March 2009 to the spring of 2013, “served in senior positions at the U.S. Department of Energy (DOE),” including Acting Under Secretary of Energy and Assistant Secretary for Policy & International Affairs. It seems that Sandalow has many interesting positions, including Brookings Institution fellow, and serving as Chair of the Energy & Climate Working Group of the Clinton Global Initiative. But the most relevant is that Sandalow also served as a Senior Advisor to Good Energies, an energy-focused venture capital firm. In 2008, before joining the DOE, Sandalow had been paid $239,000 for consulting work for this venture capital firm. 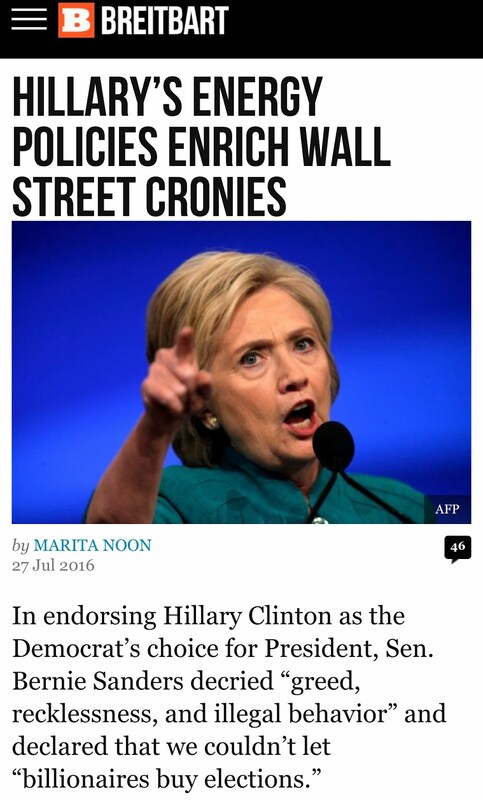 Probably not the most influential, because Citigroup –– this "too-big-to fail" bailed out bank, whose PAC gives to both political parties –– in 2008, according to the Center for Responsive Politics, were top contributors to both Harry Reid as well as Barack Obama. This turn brings us to President Obama’s law school buddy, 2008 Obama campaign bundler, Michael Froman, who was managing director of alternative investments at Citigroup. Mr. Froman is the former chief of staff to Treasury Secretary Robert Rubin during the Clinton administration. During Obama's 2008 presidential campaign, Froman served as an informal adviser, raising money and helping to secure endorsements. In fact, “Michael Froman, a close college friend of Obama’s, managed Citi’s alternative investment portfolio [as well as other Citigroup positions starting in 1999] until he left for a top White House post in 2009. Froman was key to the President’s 2008 election effort, connecting him with major donors in New York’s financial industry," notes Lachlan Markay of the Heritage Foundation. Since 2009, Froman was a member of Obama's National Economic Council as well as the Deputy National Security Advisor for International Economic Affairs. In June 2013, Froman became the U.S. Trade Representative –– now he's Ambassador Froman. 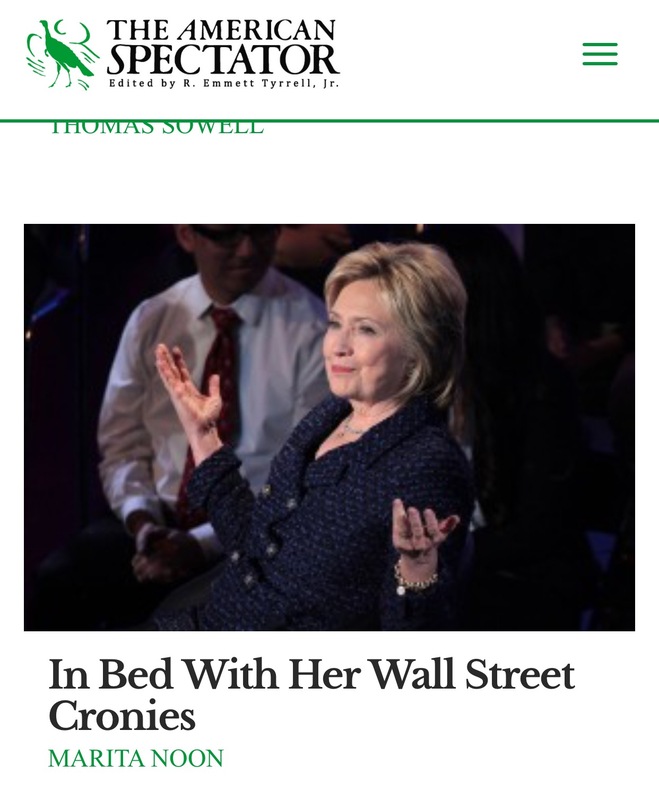 The tangled web and the infiltration of so many Citigroup executives –– and Goldman Sachs for that matter –– inside the Obama administration, even shaping his economic policy, as well as the fact that they scored big with the Green Bank of Obama, is extraordinary. Other than Michael Froman, they range from the former chief of staff Jack Lew, who in 2013 replaced Timothy Geithner as Treasury Secretary. Lew was also the head of Office of Management and Budget, from November 2010 to January 2012 (during the time these DOE loans were being processed). Lew was the CEO of Citigroup’s Alternative Investments, from January 2008; however, he was with Citi starting as far back as 2006, of which he departed either in late 2008 or in January 2009. Next is Richard Parsons, who was Chairman for Citigroup from 2009 until he announced stepping down in March 2012. Parsons served on the Obama Transition Team and on the Economic Advisory Board. In 2011, Parsons was appointed to the President’s Council on Jobs and Competitiveness, until it closed down in January 2013. Last but not least we have the retired Chicago investment banker Louis Susman, who served on Obama’s 2008 National Finance Committee. The staunch Democratic donor and fundraiser that Susman was, he turned out to be a top 2008 bundler that raised so much money for Obama that he got a nickname “the Vacuum Cleaner." Obama showed his appreciation and made him ambassador to Great Britain. At the time of his nomination, Susman retired in February 2009 as Vice Chairman of Citigroup Corporate and Investment Banking. NOTE: Michael Schell, New York, Citigroup Global Markets was also a 2008 Obama bundler. 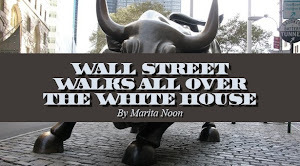 This year, Marita Noon and I exposed Citigroup's part in this massive mess in two exposés: "Citigroup’s Massive 'Green' Money Machine" and "Wall Street Walks on the White House," chronicling Citigroup's carbon footprint inside the Obama administration as well as this Green Corruption scandal –– which goes way beyond SolarReserve as wells as LS Power's SWIP-S project mentioned in the begging of this post. 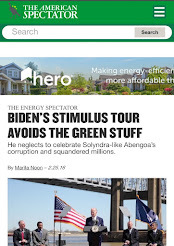 In short, I personally and meticulously analyzed Citi’s green stash (dated March 19, 2012), and calculated that they are tied to approximately $16 billion of taxpayer money, the majority from the the 2009-Recovery Act. However, there is another key connection here that I unleashed in my last Green Corruption File: "The RAT in the Recovery and the Gang of Ten." It has to do with a Michael Eckhart, who after spending the last decade as the founding President (2001) and a member of the Board of Directors at American Council on Renewable Energy (ACORE); joined Citigroup as Managing Director in February 2011. 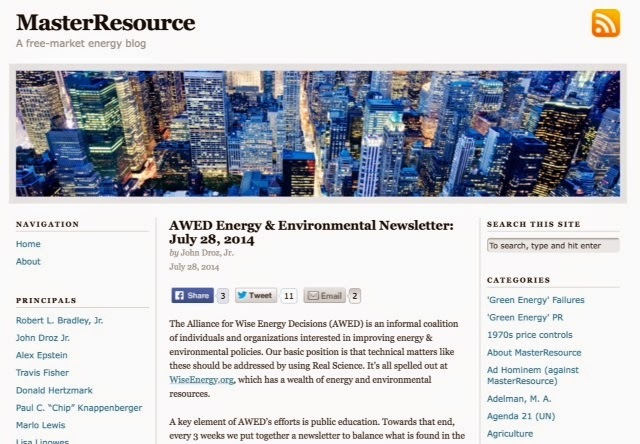 ACORE is a renewable energy lobby powerhouse, of which PJ Media had alerted to 2011: “Michael Eckhart and the ACORE membership also helped design the Department of Energy grant programs that partly offset the loss of tax equity financing arrangements..."
Ronald Pelosi: Former Speaker of the House Nancy Pelosi’s brother-in-law, Ronald Pelosi, holds a leadership position with Pacific Corporate Group Asset Management—which is an investor in SolarReserve. Additionally, his colleague, Jasandra Nyker, has served as a member of SolarReserve’s board of directors. George Kaiser: Argonaut Private Equity is an investor in SolarReserve. Major Democratic fundraiser and a 2008 Obama bundler George Kaiser, who also invested in Solyndra, owned Argonaut Private Equity. Kaiser made multiple visits to the White House in the months before the company was granted a $535 million loan from the government. The Managing Director for Argonaut Private Equity, Steve Mitchell, serves on SolarReserve's Board of Directors. Tony Podesta: OpenSecrets.org shows that SolarReserve paid hundreds of thousands of dollars in lobbying fees to the Podesta Group. Tony Podesta is the principal at the Podesta Group—which he started with his brother John. John Podesta ran Barack Obama’s presidential transition team and is the founder of the left-wing think tank, Center for American Progress CAP, where he is currently Chair of CAP and the CAP Action Fund. CAP. It's important to point out that CAP has a major foothold inside the Obama administration, including the 2013 addition, Denis McDonough as the White House chief of staff. Not only did a squadron of CAP experts work with president Obama's transition team, they are “reportedly highly influential in helping to craft White House Policy” –– and they are a driving force inside this clean-energy scheme. Meanwhile, both Tony Podesta and his wife Heather (a Washington power couple) are frequent White House visitors that share high ranks in "lobbying power," and Democrat bundling as well. 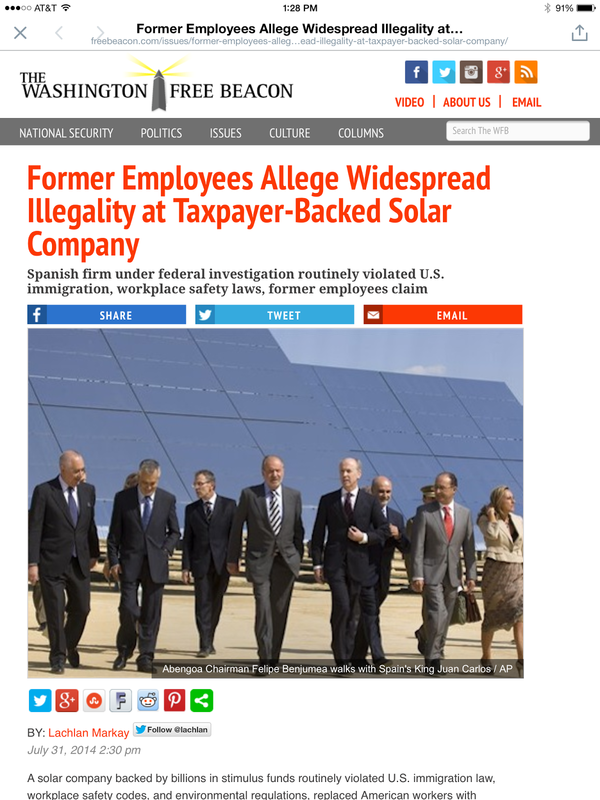 With all this access and influence –– from Wall Street to the White House, to Senator Reid, and beyond, it's no wonder SolarReserve, despite its "speculative rating" and documented credit issues as well as the fact that the DOE loan credit advisor wanted to "kill" the transaction, won $737 million of taxpayer money, for a project that, after two years, is still under construction, and anticipates a whopping 45 jobs, plus the 600 temporary construction jobs. 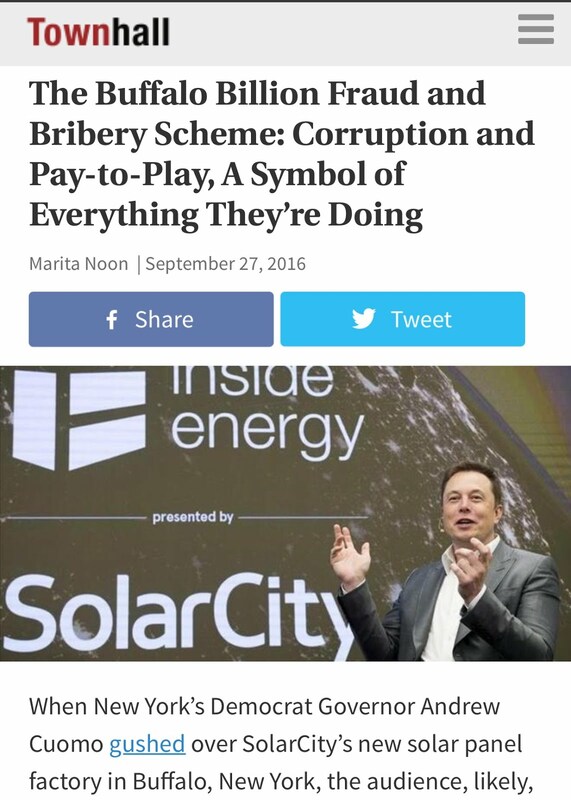 We've been uncovering BrightSource Energy's $1.6 Billion Shady DOE Deal since July 6, 2012, and as new information came available we've revisited this huge solar deal several times: November 4, 2012, February 23, 2013 as part of Citi’s Massive ‘Green” Money Machine (handling their IPO), as well as in my March 22, 2013 due to the connection to the left-wing billionaire George Soros. 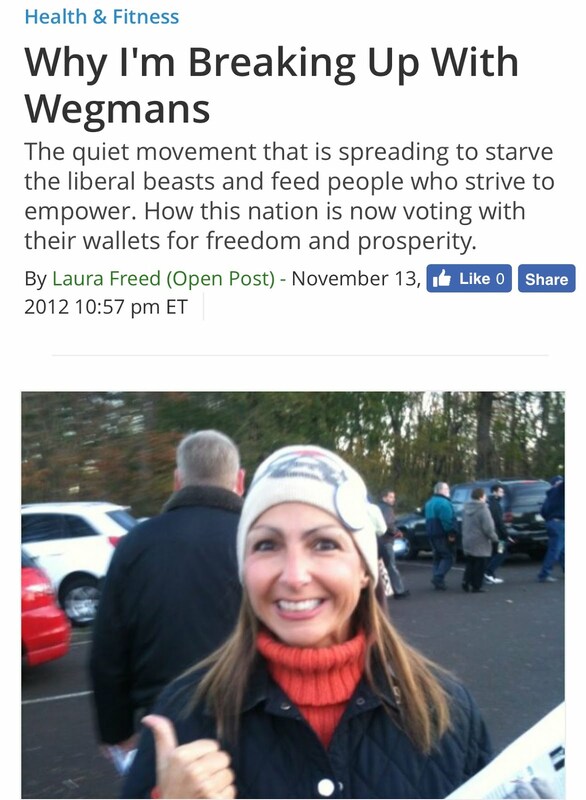 Lastly, in my September 2013 post on their lobbyist McBee Strategic Consulting. 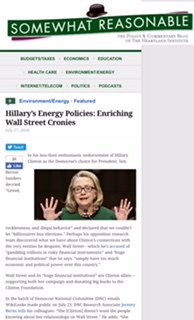 As I opened this Green Corruption file, there is BrightSource Energy, the winner of $1.6 billion, who in August 2010, then-CEO, John Woolard, and then-chairman of PG&E Corporation, Peter Darbee hosted a breakfast fundraiser for Senator Reid in the Oakland offices of BrightSource Energy. It was reported at that time, "PG&E will be a major consumer of the electricity generated by the new project, with the first plant expected to go on-line in 2012. Woolard and other company executives have given a total of $6,000 to Sen. Reid since 2009 and PG&E's PAC has given $2,000." Six months earlier, on February 22, 2010, Energy Secretary Steven Chu announced the conditional commitment of the loan guarantees under the American Recovery and Reinvestment Act to fund BrightSource Energy's three-unit power system project known as “Ivanpah,” located on federally-owned land in the Mojave Desert in southeastern California, near the Nevada border. The project uses a proprietary power-tower solar thermal system. Chu at that time, touted the Ivanpah project as "an investment in American jobs and the clean, renewable energy our economy needs." Despite the fact that BrightSource Energy’s project was one of the stimulus "junk" loans, it didn’t sway the DOE in the least, because on April 11, 2011, the DOE announced the finalization of $1.6 billion in loan guarantees for BrightSource’s Ivanpah project. 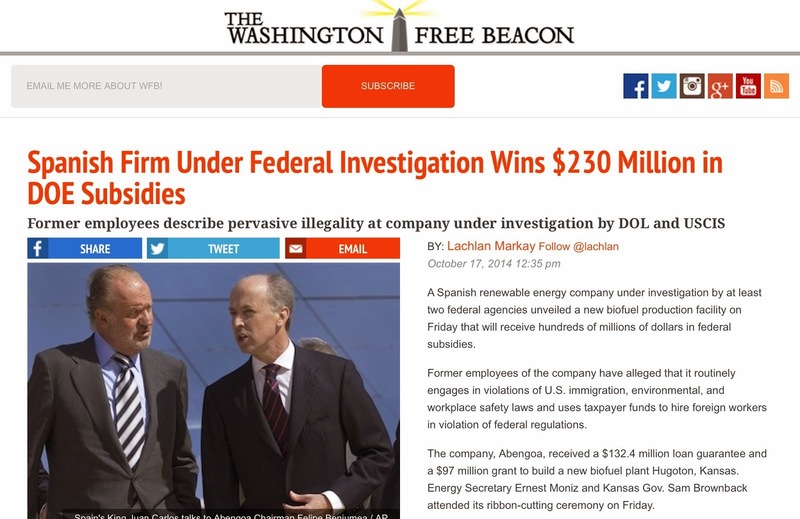 Adding to the corruption, this billion-dollar DOE deal was a bailout, which is a clear violation of the American Recovery and Reinvestment Act of 2009. As Peter Schweizer puts it in Throw Them All Out, describing the financial issues they were having, "BrightSource badly needed this infusion of taxpayer cash –– a fact that we elaborated on many times. But still the Ivanpah project has since been plagued with financial issues and problems, including putting endangered desert tortoises at risk of being murdered. Ivanpah Solar Electric Generating Plant. While BrightSource has paid $56 million to protect and relocate scores of desert tortoises, "even that has not been enough to avert catastrophe. Animals were crushed under vehicle tires, army ants attacked hatchlings in a makeshift nursery, and other calamities have befallen tortoises made vulnerable by the project," explained the Heartland Institute last year. Needless to say, BrightSource's "green executions" of animal are far from over. Just a few days ago, USA Today reported that they (and possibly other taxpayer-funded solar projects) are currently in the hot seat for burning and killing birds: "California solar power plants singeing bird feathers." 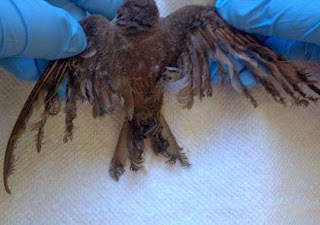 "Of 34 birds reported dead or injured at Ivanpah in September, 15 had melted feathers. Dozens of other bird carcasses, not singed but with critical injuries, have been found in recent months at two solar projects about to go online on public land between Joshua Tree National Park and Blythe, Calif., a town of 20,800 on Interstate 10 near the Arizona border," documented USA Today. With BrightSource's plans for an initial public offering cancelled in 2012, citing adverse market conditions, it's unclear where they now sit financially, however, nineteen months later, after getting $1.6 billion from the American taxpayer, the Ivanpah solar project is still not ready. More BrightSource "Energy & Players"
Nevertheless, other than the Majority Leader Reid in the mix, there are additional powerful players found inside this billion-dollar DOE deal, starting with it's former CEO, John Woolard, who during the time of the loan review process was the president and CEO of BrightSource Energy, and now serves as a director. Woolard was not only a Reid fundraiser and donor but also an Obama donor that has visited the White House dozens of times since Obama took office. These particular emails reveal communications between Woolard and Matt Rogers and between Woolard and Jonathan Silver. The January 2010 EMAIL is where John Woolard (then CEO of BrightSource), told the DOE of Obama's involvement when he was pushing for a conditional commitment. The “stakeholder” here is Peter Darbee then-CEO and chairman of Pacific Gas and Electric, who when the "three-plant Ivanpah Solar Complex" was moving forward it was also announced that, "Electricity from the project will be sold under long-term power purchase agreements with Pacific Gas & Electric and Southern California Edison Company (SCE)." Rogers and Silver, on the other hand, each has their own interesting connections, of which we profiled many times. 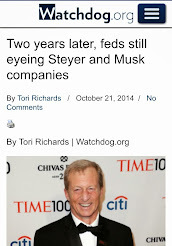 In fact throughout this post we've established Jonathan Silver's role as the Director of the Loans Programs Office at the DOE from November 2009 to early October 2011. 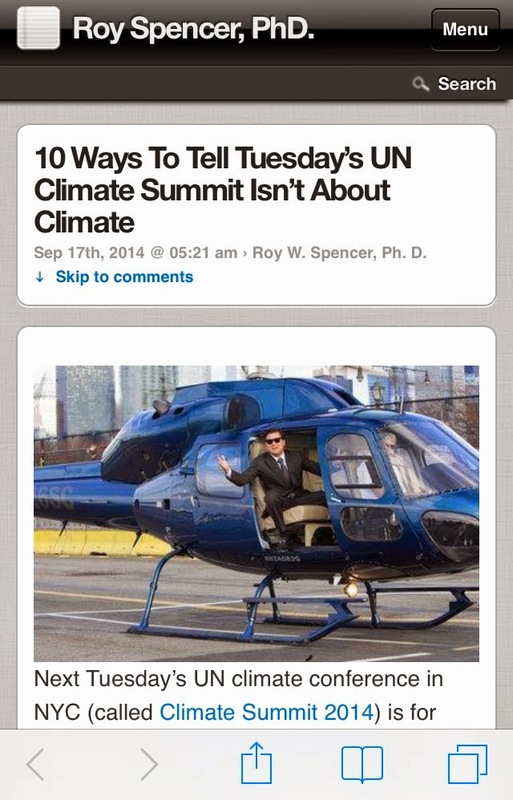 Meanwhile, Matt Rogers, from January 2009 until September 2010, served Senior Advisor to Energy Secretary Steven Chu. Rogers oversaw the disbursement of tens of billions of dollars in stimulus funds for renewable energy projects. “We need a commitment from the WH to quarterback loan closure between OMB and DOE.” It also included a request for “guidance and support from the White House.” According to testimony from Woolard, the email was never submitted. During the July 18th Oversight hearing regarding Obama’s green energy failures, Silver (the loan program Director) admitted that he had known John Bryson for many years as well as to making some "modest edits" to this particular email asking for White House intervention –– and it came from his private email account. More astonishing, is that in the July 2012 Oversight Hearing we discovered that Silver (and others inside the DOE) had a “habit” of using personal email accounts to conduct DOE business, which clearly violates at least the “spirit” of the Federal Records Act of 1950 as well as hampers any type of transparency and accountability. Even so, others will give the credit to Bernie Toon, who served then-Senator Joe Biden as his Chief of Staff, and became a lobbyist for BrightSource Energy on March 6, 2011. According to the Wall Street Journal, “BrightSource spent more than $500,000 on lobbying in the third quarter of 2010 through the second quarter of 2011.” $40,000 of the lobbying money went to Toon. 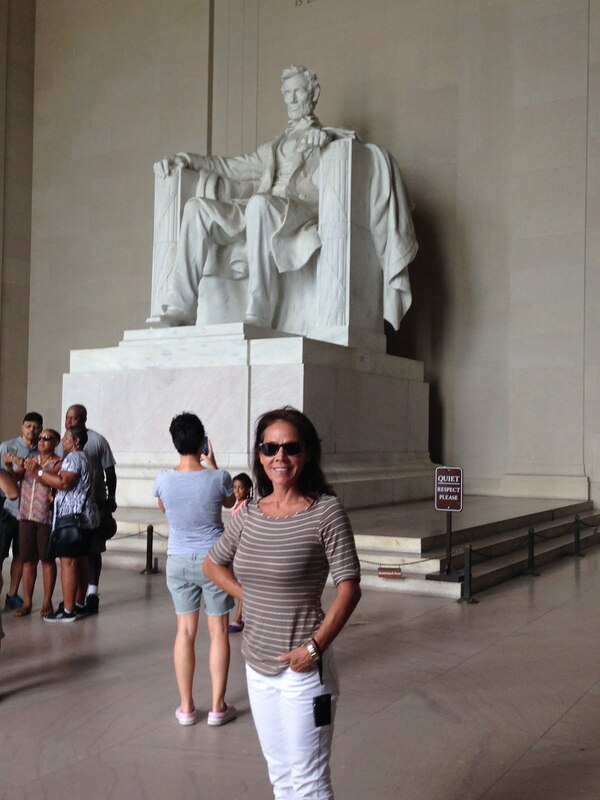 In fact, Toon and BrightSource executives made two visits to the White House in March. 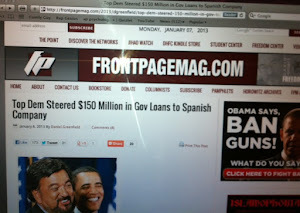 The loan was approved the following month. Toon’s contract ended the day after BrightSource got the loan. However, the BrightSource push started as early as September 2009, which involved the top DC lobbyists, McBee Strategic Consulting, as reflected in the House Oversight leaked EMAILS that were unleashed late October 2012 –– a treasure trove of "DOE Intel" that we have been revealing since their release. 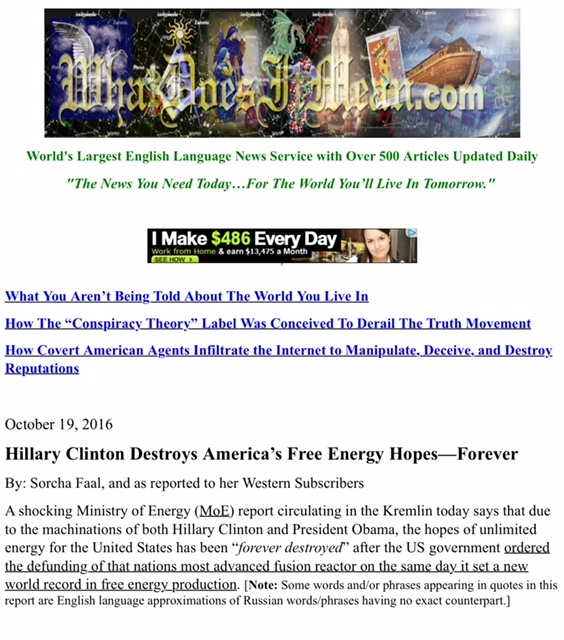 These emails not only confirm the above shady scenario, but it implicates more BrightSource executives and stakeholders, DOE officials as well as Obama’s Green Team and several in Congress from the Democrat side. “Sanjay –– I need to send a note to Matt R and Secretary about our situation and my only email for Dr Chu is old lbnl address. Can you please send his new email? "Matt R" is Matt Rogers, the DOE Advisor mentioned above, but who is Sanjay? Wagle joined the DOE just as, according to the Washington Post, “the administration embarked on a massive program to stimulate the economy with federal investments in clean-technology firms” –– a firm by the way that won a slew of "green" money from the Obama administration. As of September 2013, VantagePoint's investment portfolio has at least nine clean-energy firms/projects, which includes three DOE loans that received loans, grants, and special tax breaks, and places their total at about $3 billion of taxpayer money. Response from Natalie Shaefer, "Great - when should we move our McBee call to? 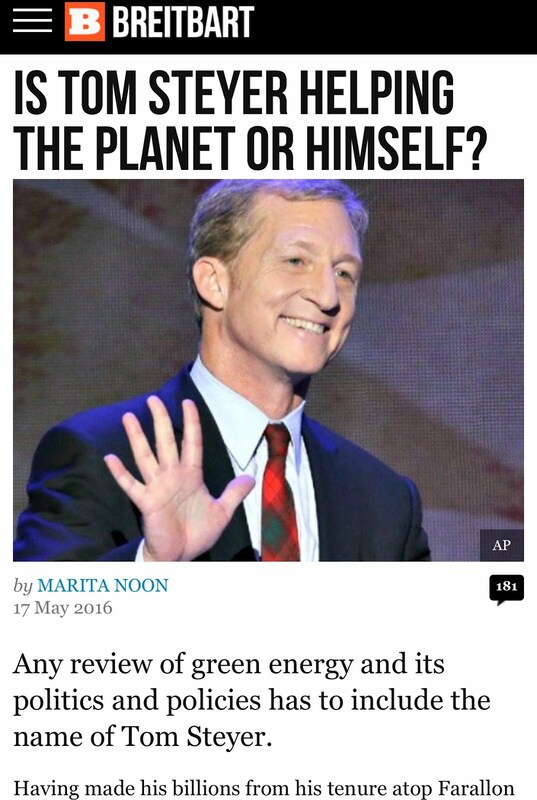 Woolard answer, "5:45 should work"
Carol Browner, an Obama bundler, was part of the both the Transition and Green teams, and eventually was promoted to Obama’s Climate Czar, where she reigned during the time when many of these loans were being approved (2009 to early 2011). Meanwhile, “Bobby K” is Robert F. Kennedy Jr., who is a partner and Senior Adviser at VantagePoint. 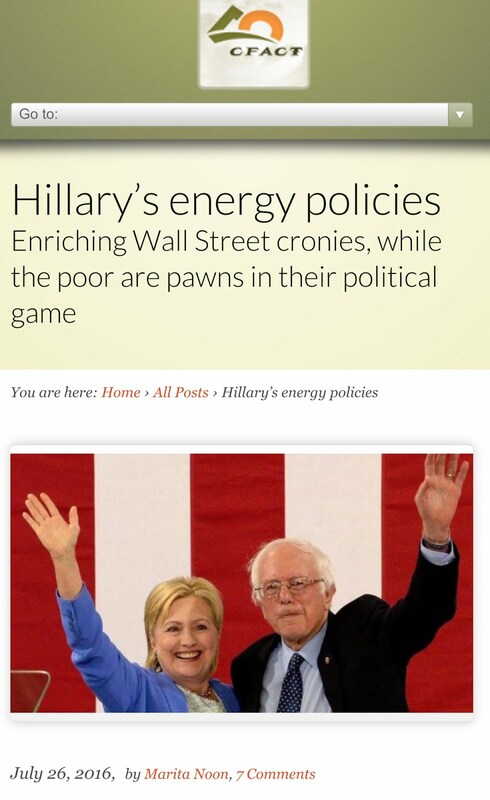 Also, Ed Markey is the Democrat House Representative for Massachusetts, who has made energy policy his top priority. 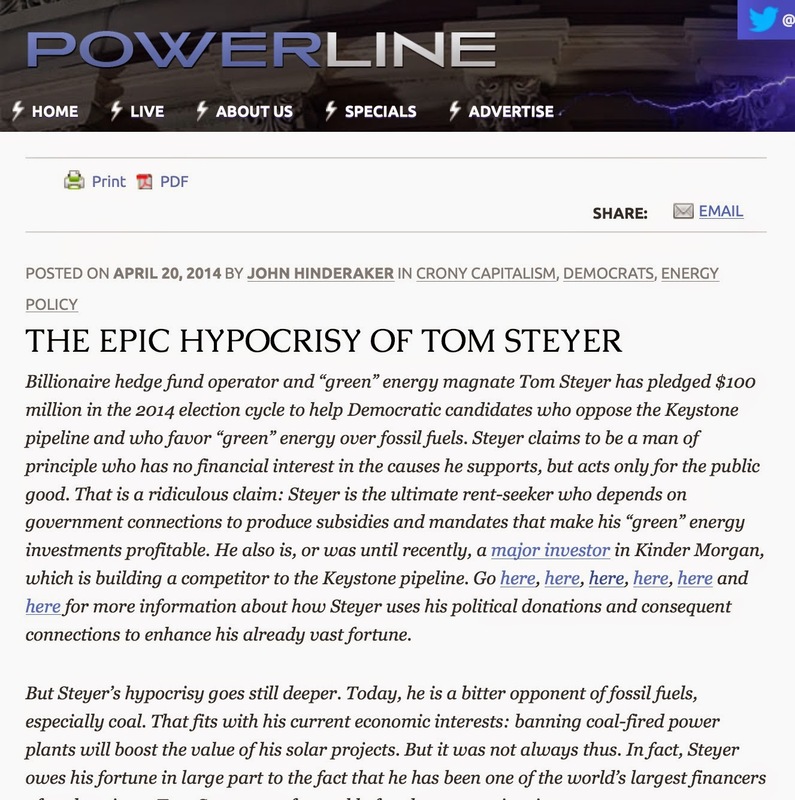 He sits on several energy committees and subcommittees, and is the former chairman of the Select Committee on Energy Independence and Global Warming. In the 350+ page Appendix II, there is ongoing interaction and pressure from the heavy weight K Street firm McBee Strategic Consulting –– the top DC lobbyists, which I thoroughly analyzed and exposed in September 2013, starting with the president and CEO, Steve McBee. 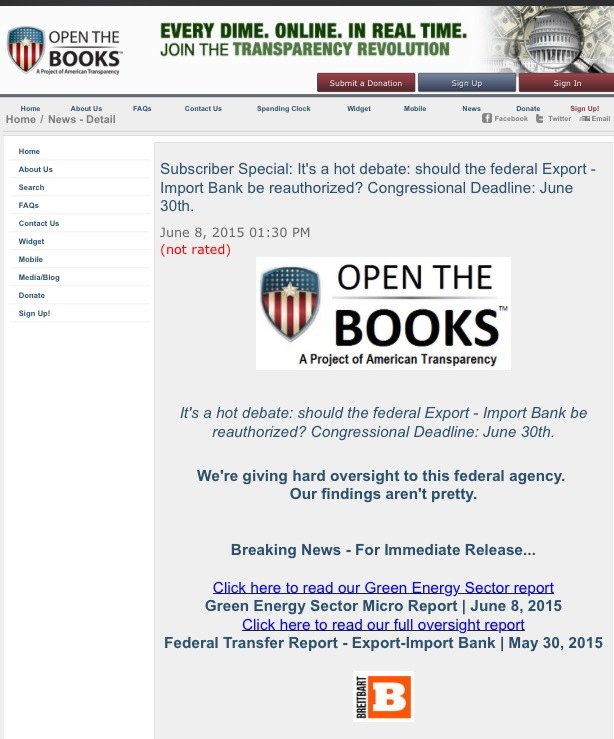 In 2011, Tim Carney of the Washington Examiner exposed McBee's influence: "Energy lobbyists on Capitol Hill say that this provision, which opened the spigot on the DOE loans, was written by Steve McBee. The "provision" Carney is referring to was inserted into the 2009 stimulus bill that removed the portion of the "2005 law" that had required from the beneficiary a sort of "down payment," to cover the risk of default. So not only were most of these loans "junk" rated, but this allowed the DOE to give out loan guarantees without the "down payment." McBee's lobbying firm, not only represented BrightSource Energy, but the other key investors, and those that had an invested interest in this $1.6 billion loan, such as VantagePoint where Steve McBee is also a Senior Advisor, as well as Google and PG&E –– the former VC firm listed above, and the latter two, there is much more to share. 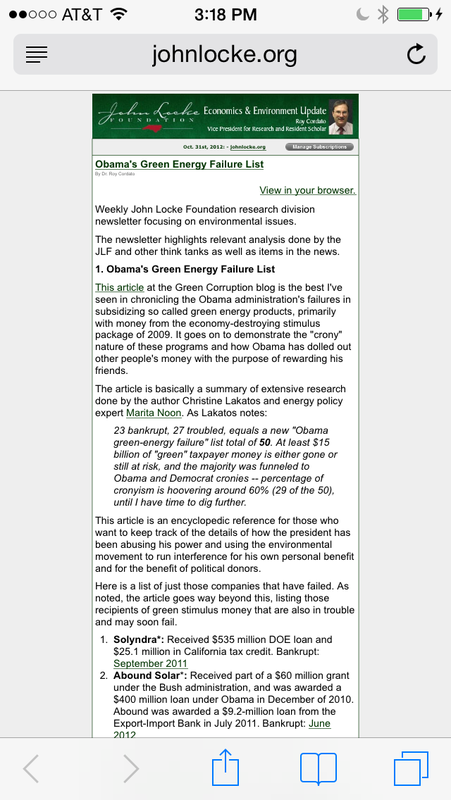 However, what's key here is that my research reflects that of McBee struck stimulus gold: with 31 energy clients (that I found), 19 (over 60 percent) received green-government subsidies under the Obama administration, totaling approximately $13.7 billion of taxpayer money. "Wanted to let you know that the BrightSource application appears to moving apace at OMB and has a fighting chance of getting over to DOE..."
"DOE is another story. 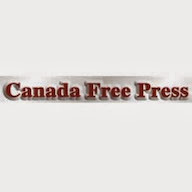 We are hearing that despite a strong push by Silver, Spinner, Rogers and others internally, the process is getting sideways by any number of bureaucratic hold ups and there is now real potential for consideration of the project to slip until next year." The next paragraph, Steve undermines the "integrity of the Loan Guarantee Program, and then writes that if the project slips to 2011, that there is a strong likelihood that the project will be “redeployed to China..."
McBee continues, "ANYTHING you guys would be willing to do with DOE in terms of moving the process would be deeply appreciated." Joshua Bar-Lev in response says, "Do you all think we should have vantage point insist on mtg with chu or silver or rodgers? Should john or I try to fly out for something similar? Looking for some game changer but perhaps we’ve done all we could. Is dc shut down by the snow or is there some impact we could make? Joshua"
It seems that 2010 was a busy year for the BrightSource players, because other than the January 2010 Woolard/Rogers email to get Jonathon Silver’s assistance, as well as Peter Darbee’s meeting with President Obama divulged above, there were more –– and all prior to the April 11, 2011 finalization of the $1.6 billion DOE loan. “Peter – I understand you might be having breakfast with Secretary Chu tomorrow morning"
Woolard closes with, "Thanks in advance if there is any way you can help move this forward. Bechtel and Brightsource are in a detailed project review and are ready to move this project forward. Regards, John." The next day, Woolard writes, "...without the doe loan guarantee pge is at risk for losing entire commitment and CA is at risk for RPS requirements." The attached Outline will be filled in as talking points to be used by the political team. Over the weekend. Arthur, Jack and the deal team coming into DC Monday. Meetings at the highest level possible should be arranged for Tuesday/Wednesday with our champions. We will need you to schedule. You should work with Arthur on appropriate mtgs with DOI (like Steve Black) etc. Woolard coming in the following week. JW Will want meetings that week with the VP, Reid, Chu, Feinstein and other principles. Once Bernie Toon inculcated (shortly), you guys need to fold him in to the arguments, roles and get him the litigation and other info. NOTE: Bernie Toon, mentioned earlier, is the lobbyist that served for then-Senator Joe Biden as his Chief of Staff. And we know that visits by him Toon and BrightSource executives made two visits to the White House in March 2011. JW just now heard from Gov’s asst Picker that Governor wants to talk to JW. That is happening now or shortly. Governor wants to express, as Gov and as former AG, “STRONG STATE INTEREST”….Will call Chu and may want to call President and VP. [this just happened –– SWEET]. In the middle of all the pruning and prodding (mostly in early 2011), we find Woolard biking and having sleepovers with Silver. We also see that Silver was hosting a party for John Bryson. Also, David Crane, the CEO of NRG Energy, was sending invitations to Woolard and Bryson to a fundraising dinner at his home that included Louisiana Senator Mary Landrieu. 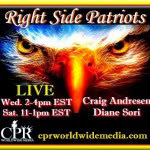 But Bryson declined Crane’s invite only due to the fact that it conflicted with a dinner he was having with Ted Craver and California Senator, Diane Feinstein. There you have it, despite the fact that during the loan review process, BrightSource Energy was bleeding money; obviously desperate for the cash; and their huge solar project loan was rated "speculative" at best, it didn’t sway the DOE in the least, because on April 11, 2011, the DOE announced the finalization of $1.6 billion in loan guarantees that was made available by the passing of the 2009-Recovery Act, for their Ivanpah project –– stimulus money that they predict will create 1000 construction jobs, with only 86 permanent jobs, once it ever gets completed. VantagePoint, which I outlined earlier, noting many direct connections to the president, and that as of September 2013, VantagePoint's investment portfolio has at least nine clean-energy firms/projects, which includes three DOE loans that received loans, grants, and special tax breaks, and places their total at about $3 billion of taxpayer money. While each of the listed investors deserve further scrutiny, we'll stay with three that are directly part of the Ivanpah project located on federally-owned land in the Mojave Desert in southeastern California, near the Nevada border. The BrightSource strategy not involved their gang, which ranged from the CEO John Woolard, its chairman John Bryson, and their lobbyists McBee Strategic Consulting. But in the mix was their vice president connection Bernie Toon; VantagePoint ties to the president; key DOE insiders and high-profiled Democrats such as Senator Harry Reid working on their behalf, as well as other key figures in the mix, which included the former chairman of PG&E, Peter Darbee, who was also working on their behalf due to the fact that PG&E had an invested interest in the Ivanpah project. Still, PG&E is a strong Obama and Democrat donor. In fact, PG&E is jam-packed with Washington "green cronies," including Cathy Zoi, who is the "most controversial former PG&E employee to hold an influential government position." 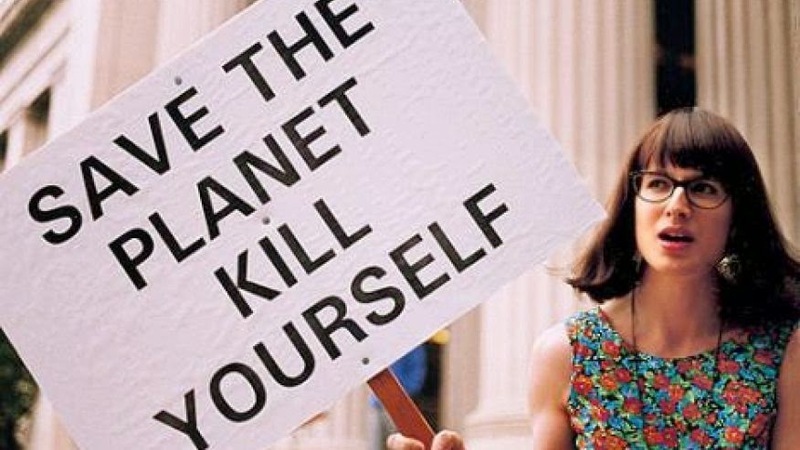 Zoi, an Al Gore acolyte, in April 2009, became the Assistant Secretary for Energy Efficiency, who oversaw the disbursement of more than $30 billion in renewable energy stimulus funds in her DOE position at the Office of Energy Efficiency and Renewable Energy (EERE). Later in 2010, during a series of DOE vacancies, Zoi briefly filled the role of Acting Undersecretary for Energy, and in February 2011, she jumped the DOE ship to work for George Soros –– another friend of Obama and key villain in this Green Corruption scandal, and also a shareholder of NRG Energy. 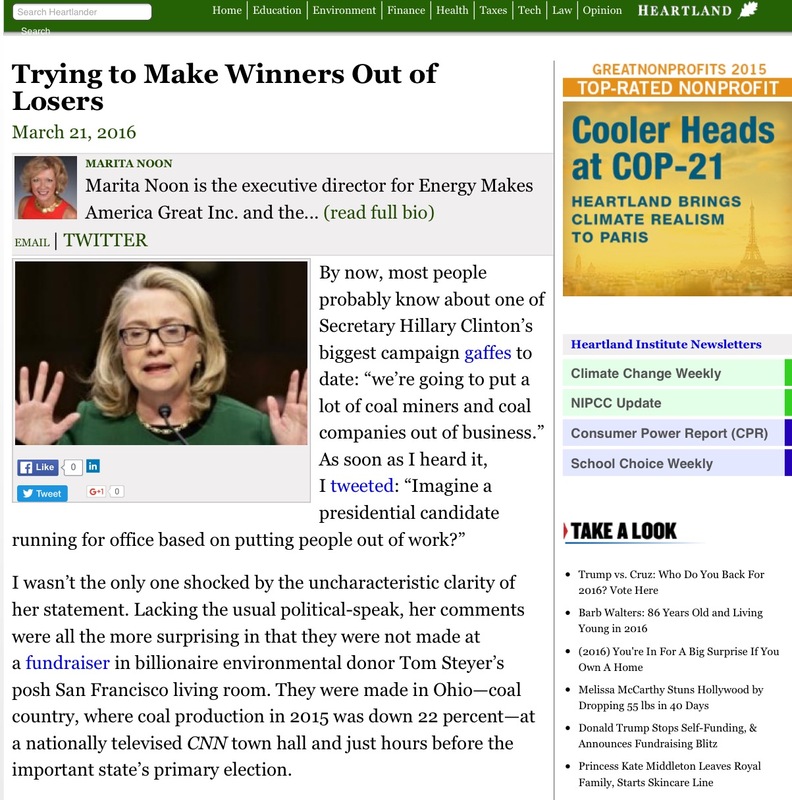 Meanwhile, Zoi is also tied to a few other green energy companies that got stimulus funds. Additionally, with their high-powered connections all the way up to the president and inside the DOE, PG&E won a significant amount of stimulus money for various projects: at least seventeen to date and over $55 million. 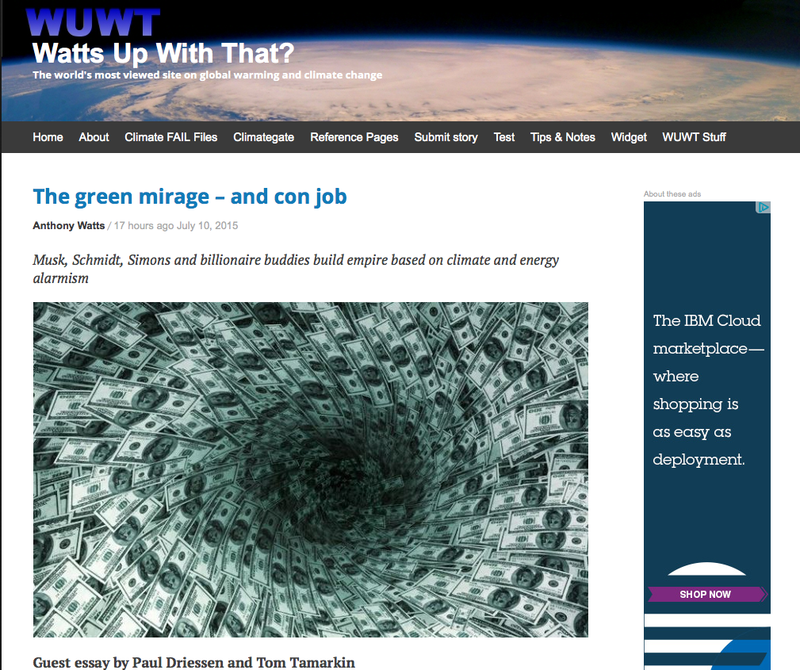 Still, the big win for this Big Utility corporation is that they have an invested interest in $7.6 billion of Energy Department stimulus loans, which includes the BrightSource's Ivanpah project –– and details into these taxpayer-funded projects can be found in my April 2013 post. Factor in Google, which had made a $10 million equity investment in BrightSource in 2007. 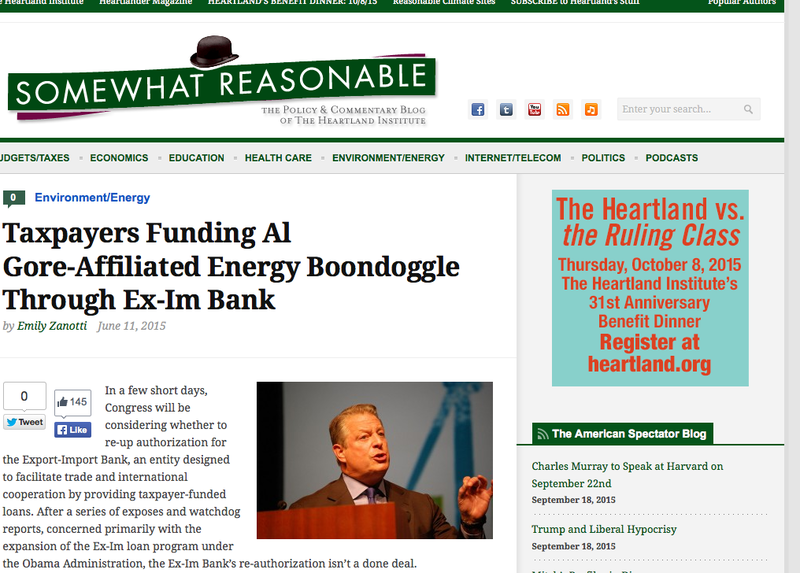 Then on April 11, 2011, the day that the DOE had finalized BrightSource's billion-dollar DOE loan, Google announced its largest investment in renewable energy to date: $168 million into the Ivanpah project. Google has an array of ties to the president, including the fact that Google’s $814,540 contribution to then-Senator Obama’s campaign made it the fifth largest donor in 2008, and in 2012 moved up to the number three spot with a whopping $805,119. Meanwhile, top Google executives not only donated, but also were heavily involved in both Obama's 2008 and 2012 campaigns. 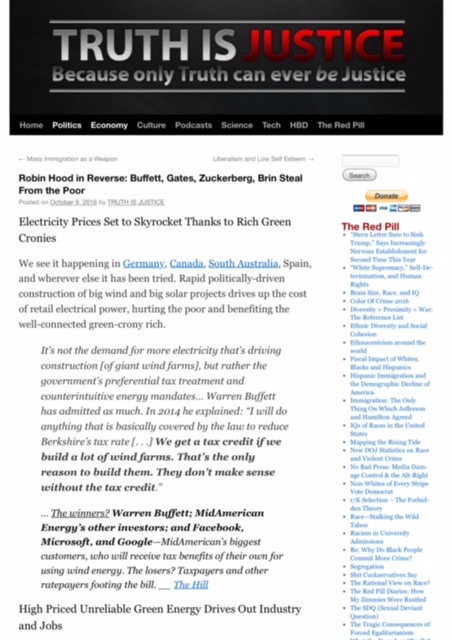 So, it's no coincidence that in September 2013, when I tackled Google Ventures –– via their "Energy Investments" and other "green deals" –– that I was able to confirm that they have at least ten verified winners of stimulus and other green energy funds, which places their investment score at close to $5 billion of taxpayer cash. This figure does not include Silver Spring Networks and their connection to $1.3 billion in smart-grid stimulus grants that I divulged a few times. Enter in NRG Energy, another huge energy corporation that sometime in October 2010, during the time of the BrightSource DOE loan review process, “NRG became the lead investor ($300 million) in the Ivanpah solar project of the 392 MW Ivanpah project." 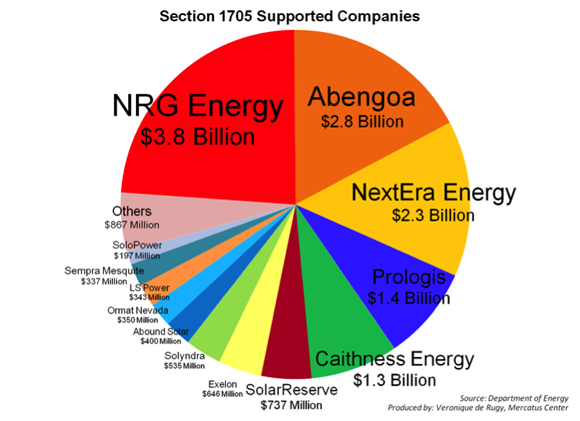 It so happens that NRG Energy –– a Fortune 500 and S&P 500 Index company –– and its subsidiaries was the recipient of most of 1705 stimulus loans worth $5.2 billion of taxpayer money, and counting. 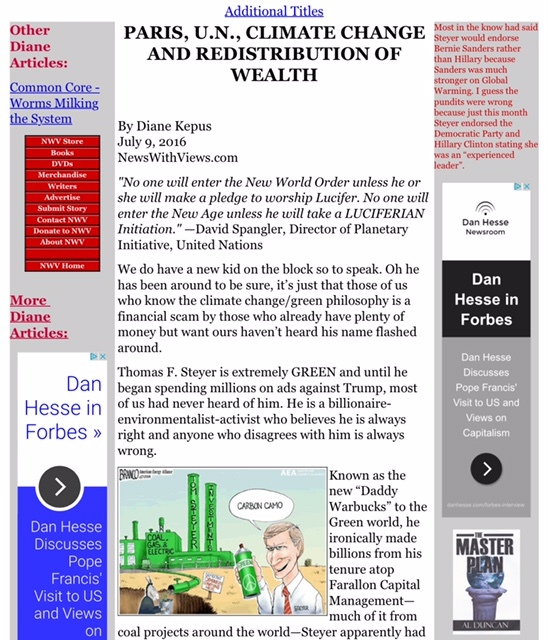 Due to the George Soros connection to NRG Energy as a shareholder; his role as another "stimulus author;" and the fact that he bankrolled both of Obama's elections, you can find more on NRG Energy as well as Soros in my March 2013 Green Corruption File: Left-wing Billionaire George Soros: Obama’s 'Agent of Green.' 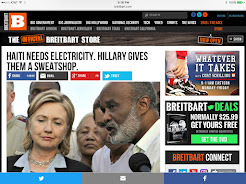 There you will also discover that NRG Energy has its fair share of Obama connections as well. 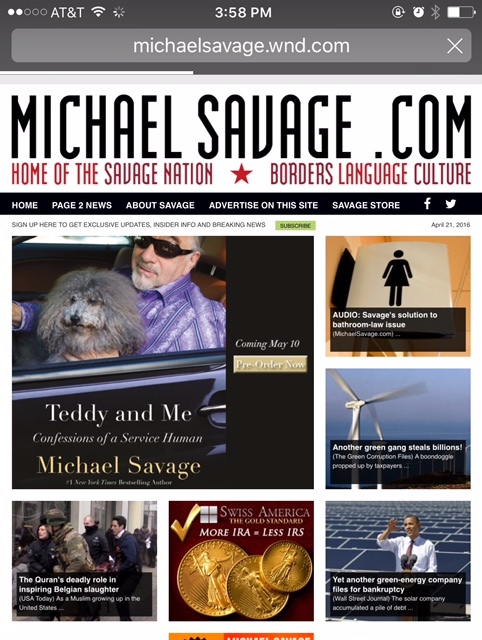 NOTE: In case you'd like to learn more about all the "stimulus authors" that financially benefited from the stimulus package that they helped craft, I exposed them in my last Green Corruption File, "The RAT in the Recovery and the Gang of Ten." 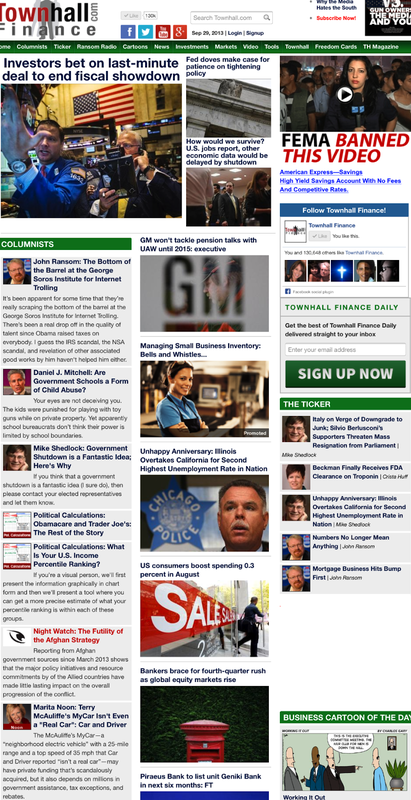 Now we discover that the Ivanpah Solar project is "being constructed by Bechtel," another big corporation with their hand in the stimulus –– a piece of this scandal that I divulged in my June "Nuclear Crimes and Misdemeanors" story with the main focus on the billion-dollar Colorado-based consulting, engineering and construction firm CH2M Hill. 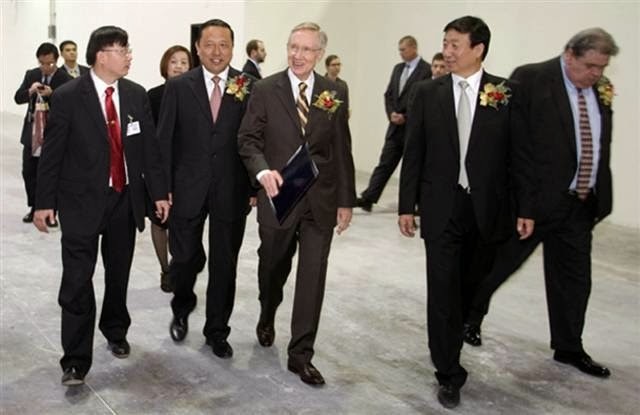 Senator Harry Reid Brings Home More "Green"
In October 29, 2009, Reid, and his pal Secretary Chu announced more than $90 million for Nevada related geothermal energy projects. This is on top of the two geothermal projects documented earlier. 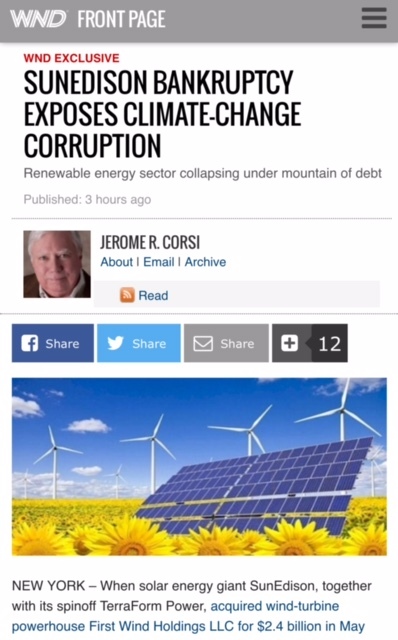 Then in Senator Reid's 2012 "Playing to win in CLEAN ENERGY" portfolio, we find that there are three more projects, whereas Reid brought home to Nevada more special favors and additional money from the 1603 grant program, which was created by the 2009 economic stimulus law. It was reported that the Spring Valley project "sits on federal land and relied on financial support from the American Recovery and Reinvestment Act," However, how much taxpayer money that this wind project received is unclear. According to Reid's 2012 document, the Spring Valley Wind –– a project of Pattern Energy –– utilized the Department of Treasury’s Section 1603 program for its funding. 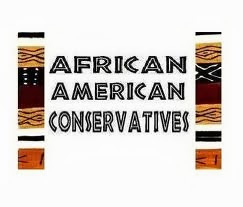 And, "In order to help take advantage of the 1603 program, the Department of Interior and Bureau of Land Management designated Spring Valley as a priority project in 2009." The project sits on 7,673 acres of public land, requiring Pattern to receive approval from the Bureau of Land Management and complete environmental reviews required by the National Environmental Policy Act before construction could begin. BLM said early on that it wanted to "fast track" the approval process (Land Letter, Jan. 14, 2010). That review did not satisfy environmental groups such as the Center for Biological Diversity, which filed a lawsuit in early 2011 seeking to halt the project, arguing it would be harmful to bats that roost in the area. Pattern and the environmentalists settled the lawsuit earlier this year, with the company agreeing to undertake additional mitigation measures and pay up to $50,000 for a study on bat roosting habits (Greenwire, April 18). It seems that in April 2012, "Pattern's Spring Valley Wind Project Reaches Settlement Agreement." 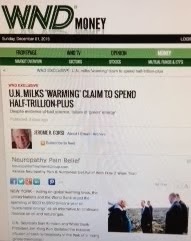 Senator Reid was also one of those in Congress pushing for the extension of the Production Tax Credit (PTC) that was is set to expire at the end of 2012, thus helping his "wind pal" over at Pattern Energy. 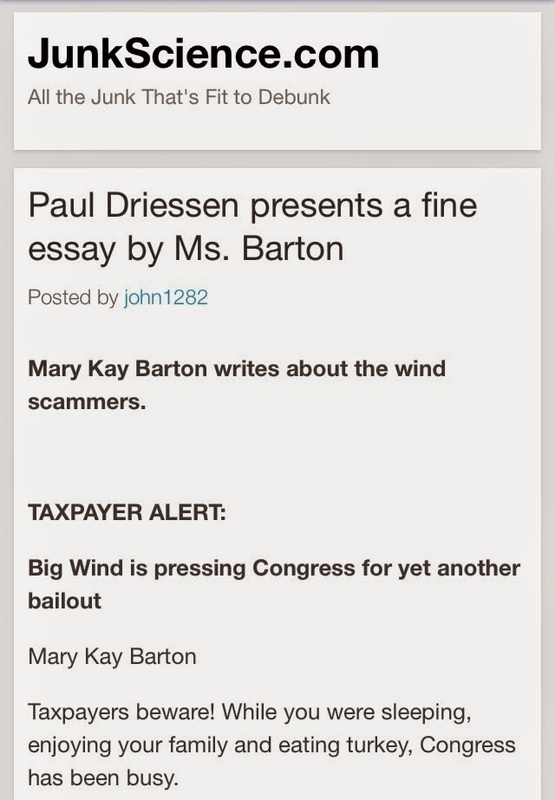 This (wind energy and the PTC) is another huge piece of the clean-energy scandal that I've covered a few times, but most recently in my January 2013 post entitled, "Big Wind Energy Subsidies: A Hurricane of Carnage, Cronyism and Corruption." On October 17, 2012, Silver State Solar Power North, LLC won a $54,633,872 stimulus grant. On June 11, 2013, Copper Mountain Solar 2, LLC won a $74,207,365 stimulus grant. According to Reid. "In Nevada, Enel Green Power North America has already constructed the Stillwater and Salt Wells geothermal power plants near Fallon. The availability of renewable energy tax credits and the U.S. Department of the Treasury’s Section 1603 grant in lieu of tax credit program have played an important role in the development of the Stillwater project." On September 25, 2012, EGP Stillwater Solar, LLC won a $20,830,904 stimulus grant. These five "speculative" stimulus loans, with a few that also received stimulus grant, costs American taxpayers over $3.3 billion, while producing (or expected to create, save or whatever) 2532 temporary construction jobs and only 224 permanent jobs. 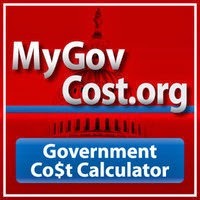 If we add in the additional stimulus funds that Harry brought to his home state, the total is much higher. 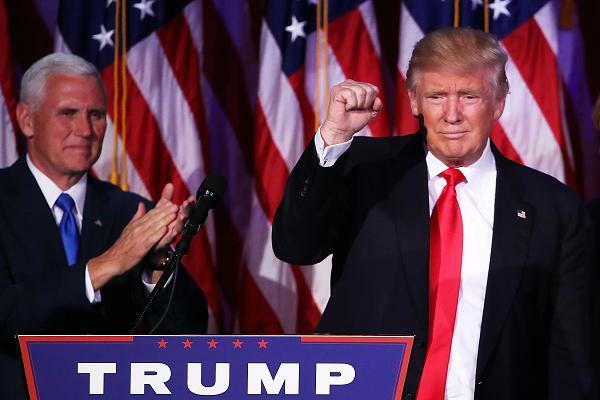 What is clear is that the American Recovery and Reinvestment Act (ARRA) was a massive economic stimulus bill that was sold to the American people as a means save our economy from the brink of disaster and create American jobs. Needless to say, the American were intentionally misled, because even though the job figures don't add up, we now know that the stimulus package wasn't about our economy or jobs. 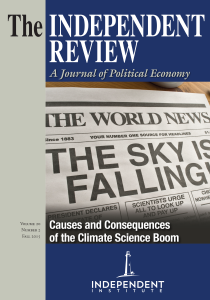 Eventually, in early 2012, most Americans discovered the truth behind the trillion-dollar Recovery Act, which was jammed-packed full of clean-energy provisions (about 10 percent of the monies were earmarked for renewable energy). 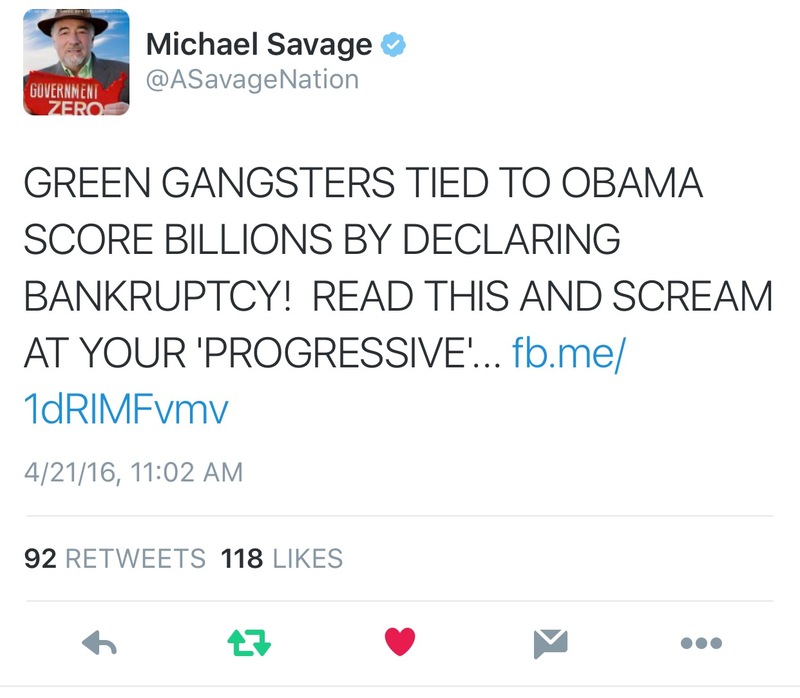 Internal revelations revealed that the real intent behind Obama's trillion-dollar spending spree: it was “a key tool for advancing the Obama administration’s clean-energy goals and fulfilling a number of campaign commitments.” In reality it was "walking around money" for the president to payback his wealthy bundlers and donors as well as his "green" cronies and allies, which unequivocally –– in an unprecedented and corrupt tactic –– included Senator Harry Reid. The sad thing on this and I am sure there is much much more to learn about the current regime is that most Americans ill never really know about this. 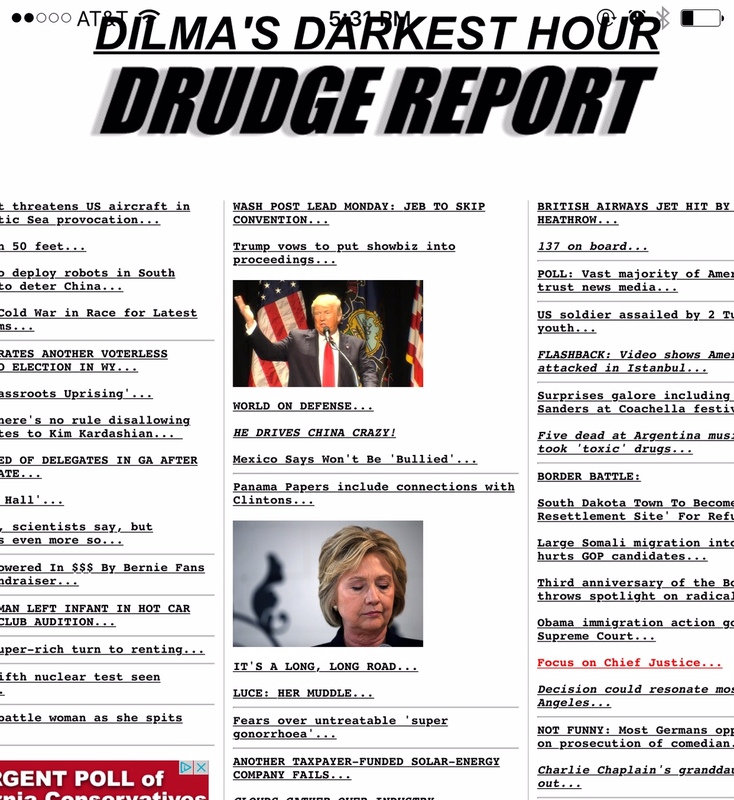 I only hope that this gets into the hands of all Americans so that they start to learn the real truth and not what some reporters and news people want them to know.